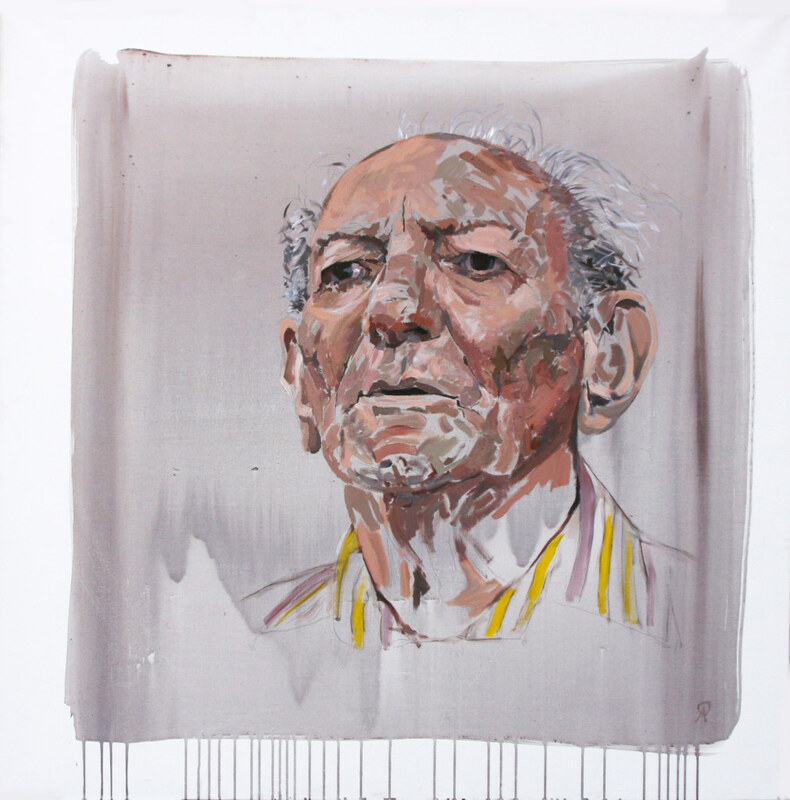 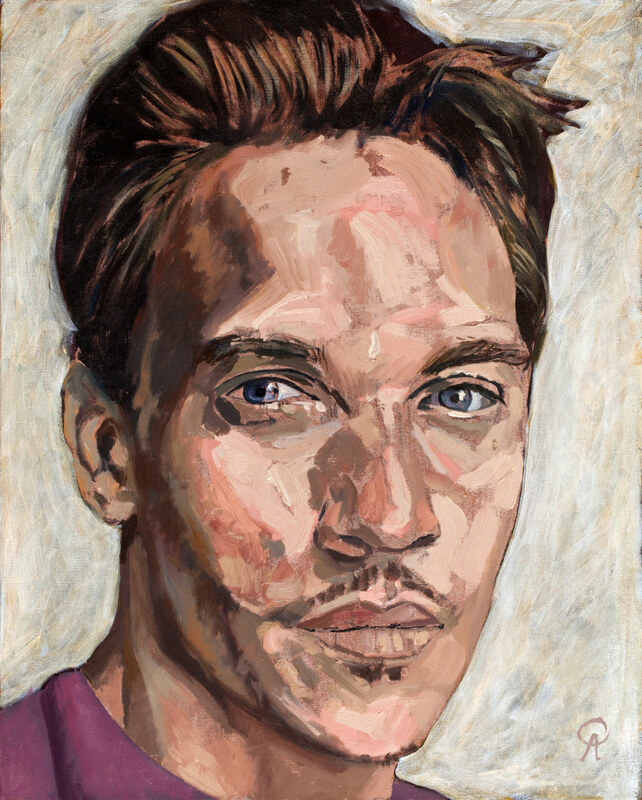 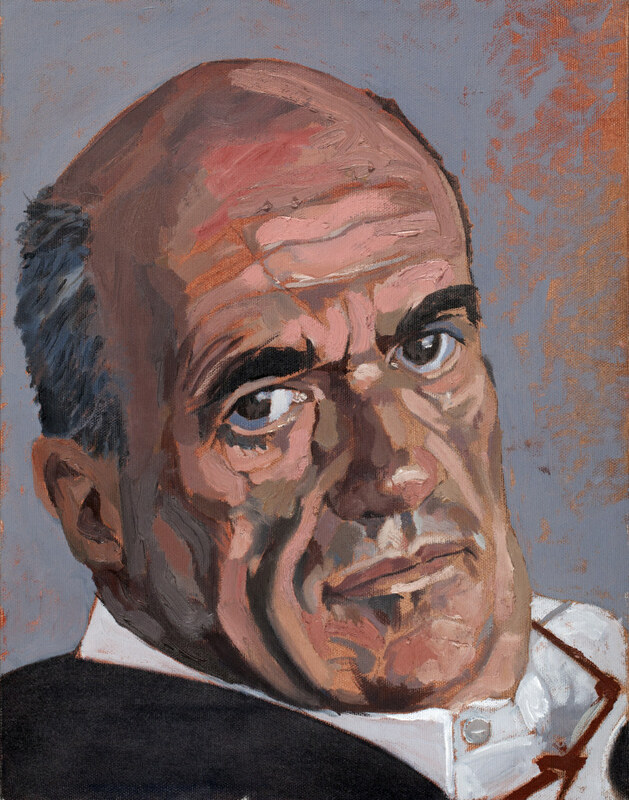 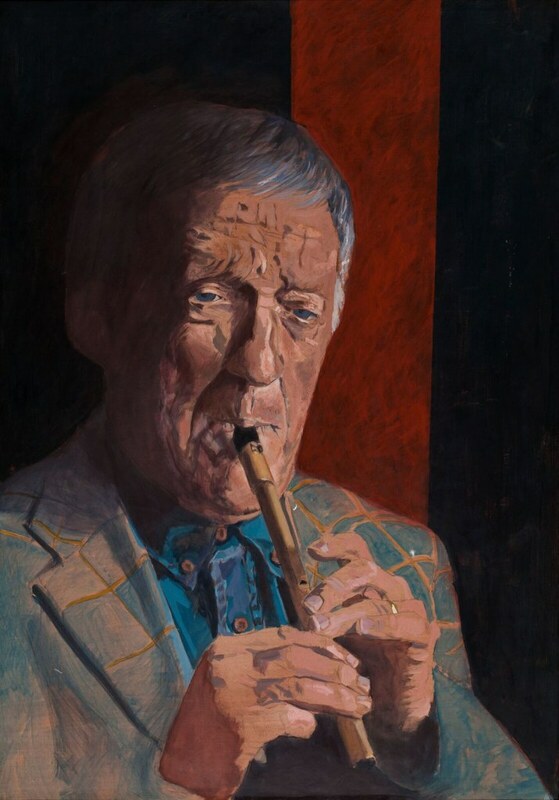 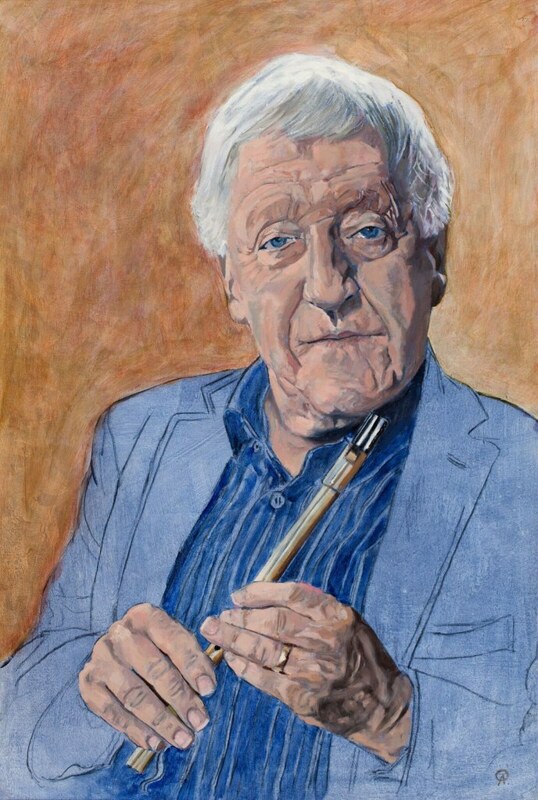 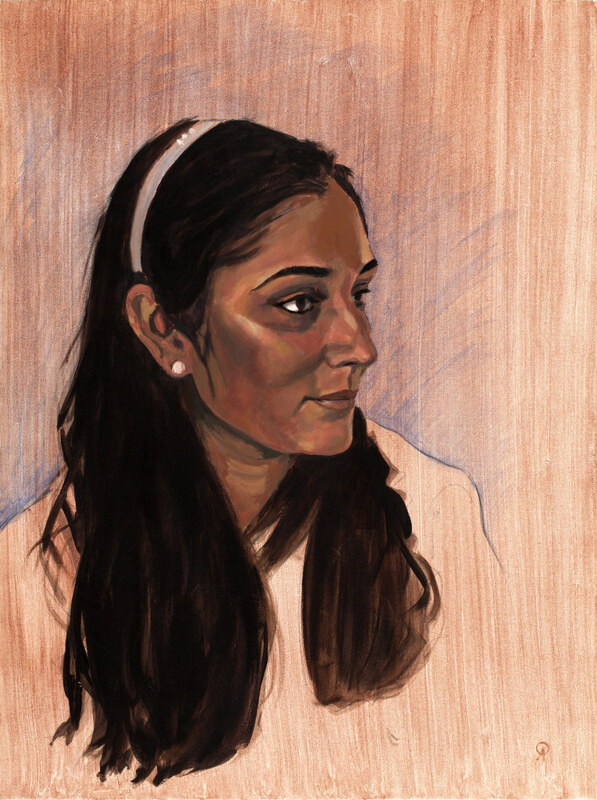 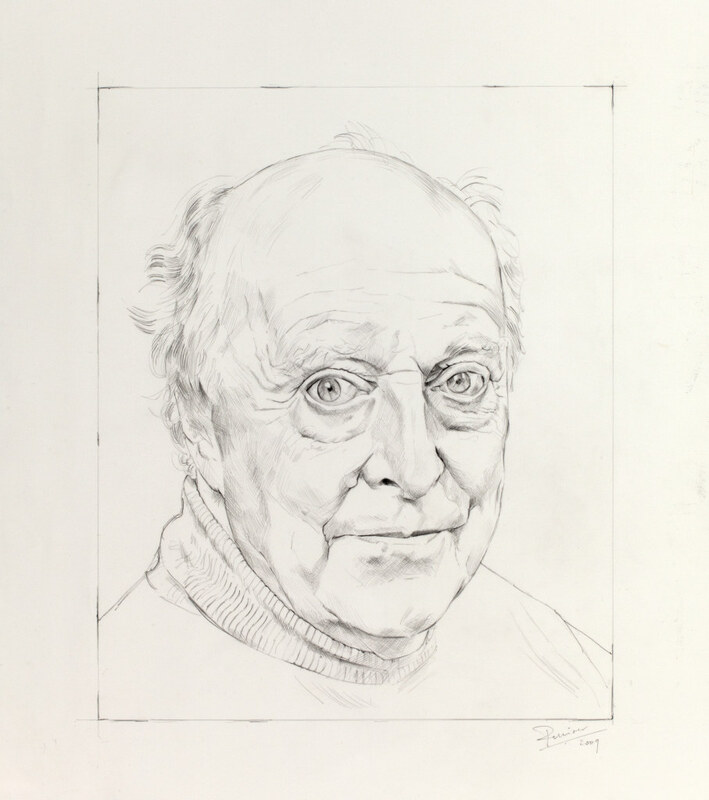 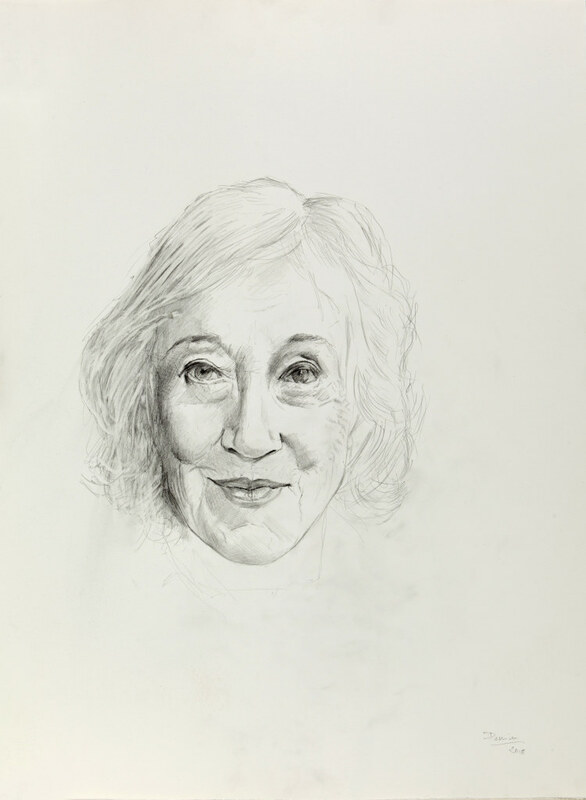 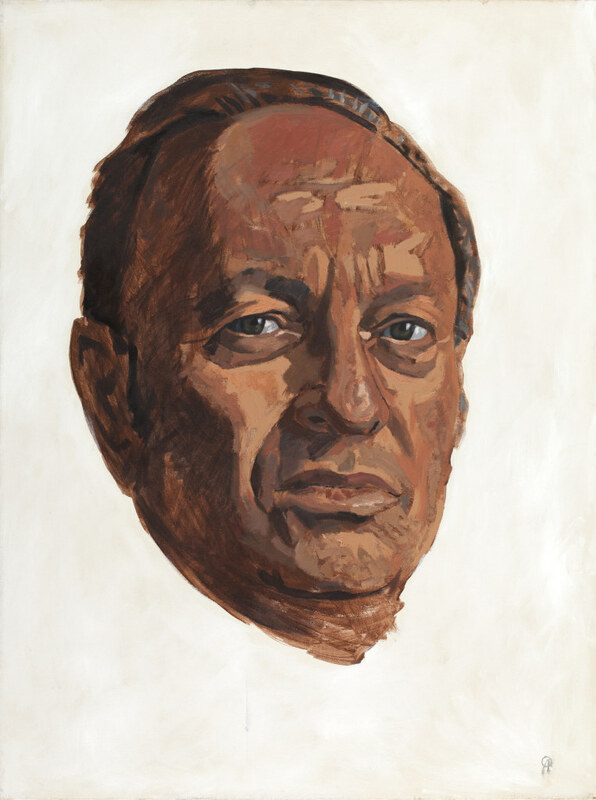 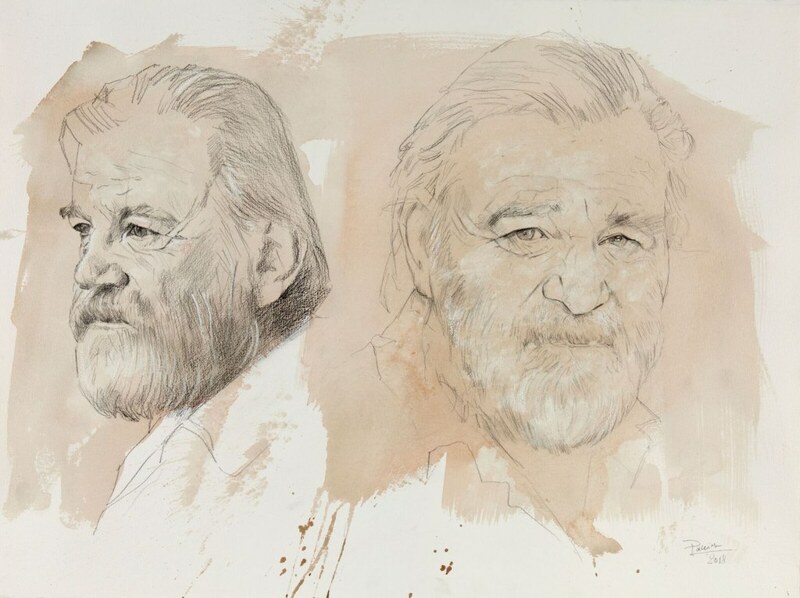 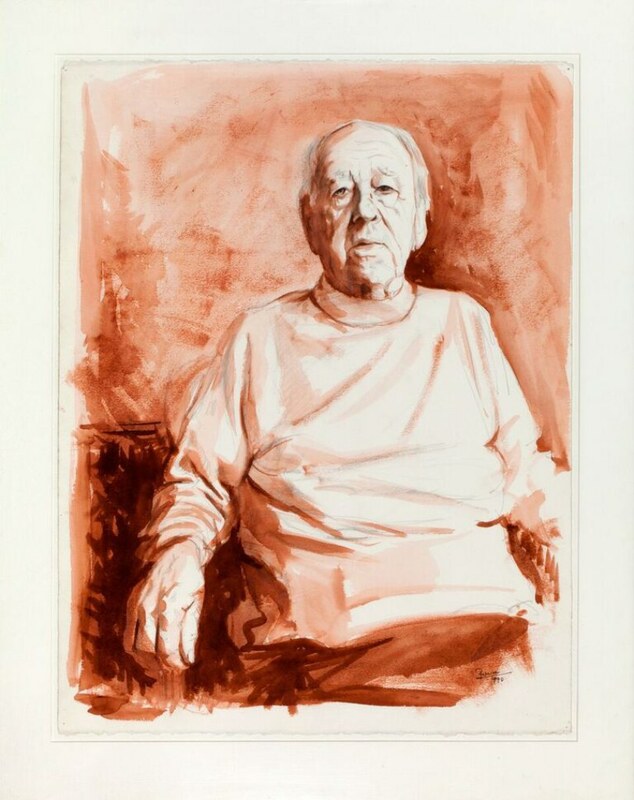 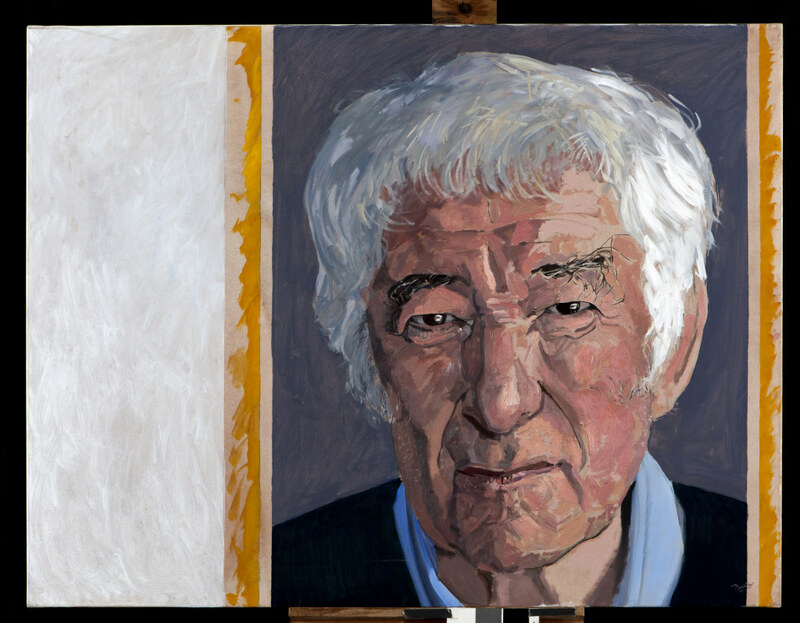 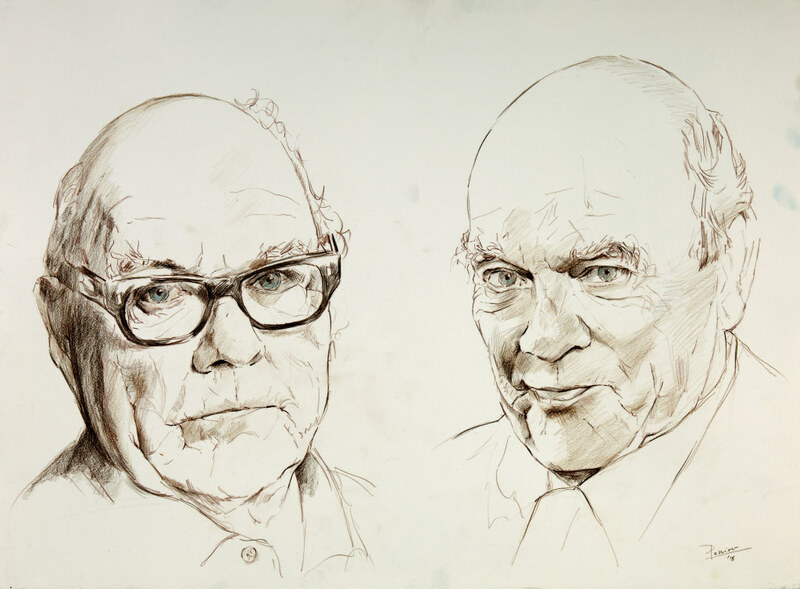 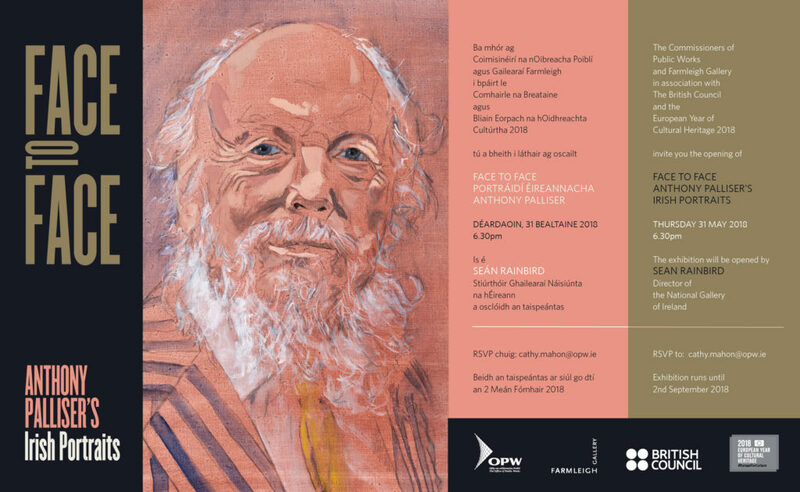 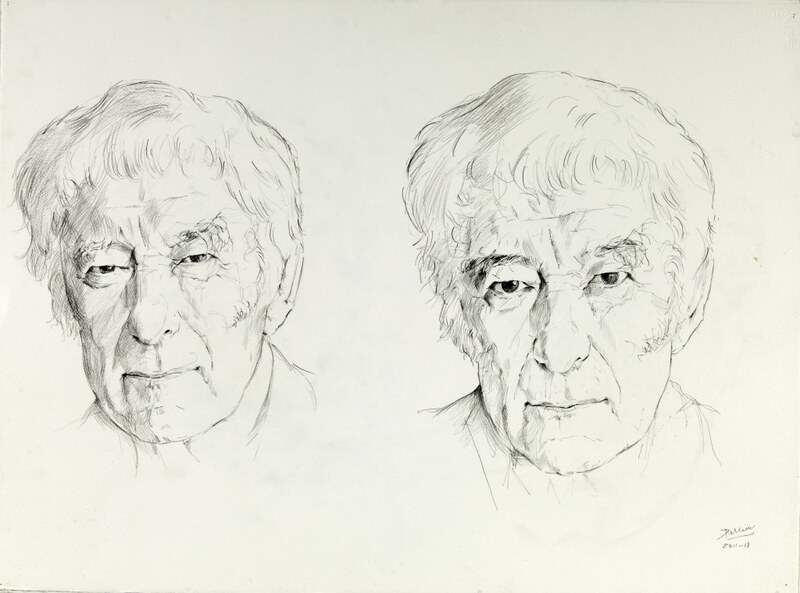 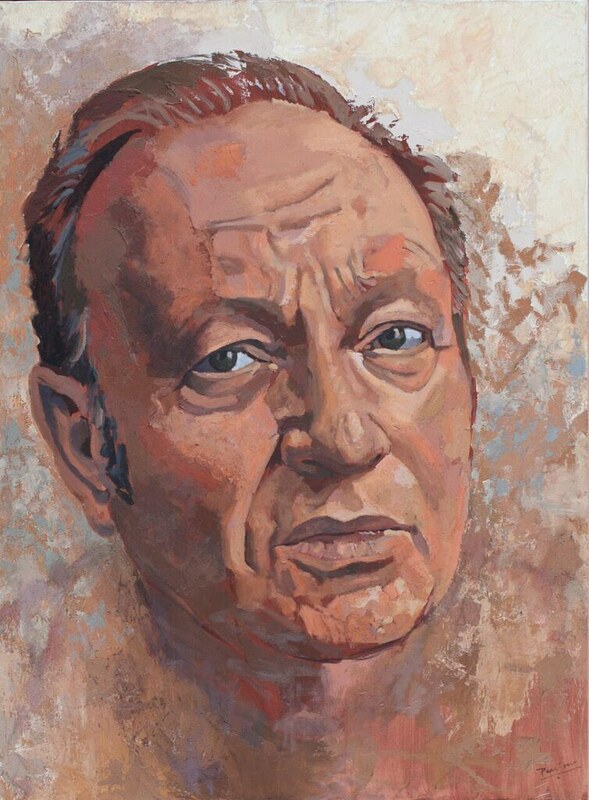 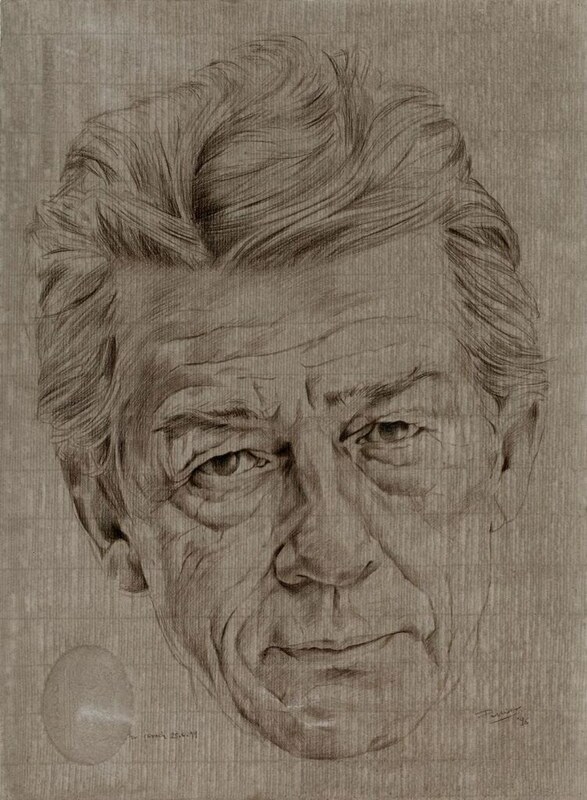 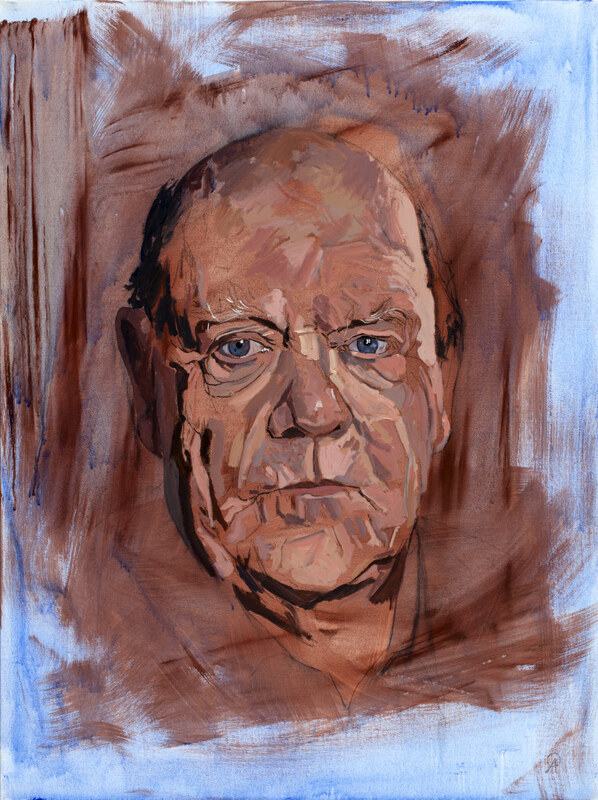 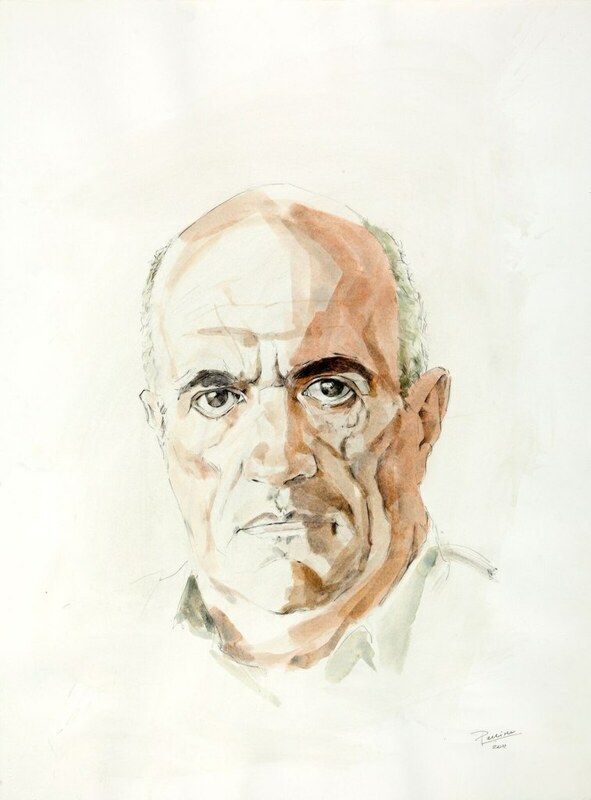 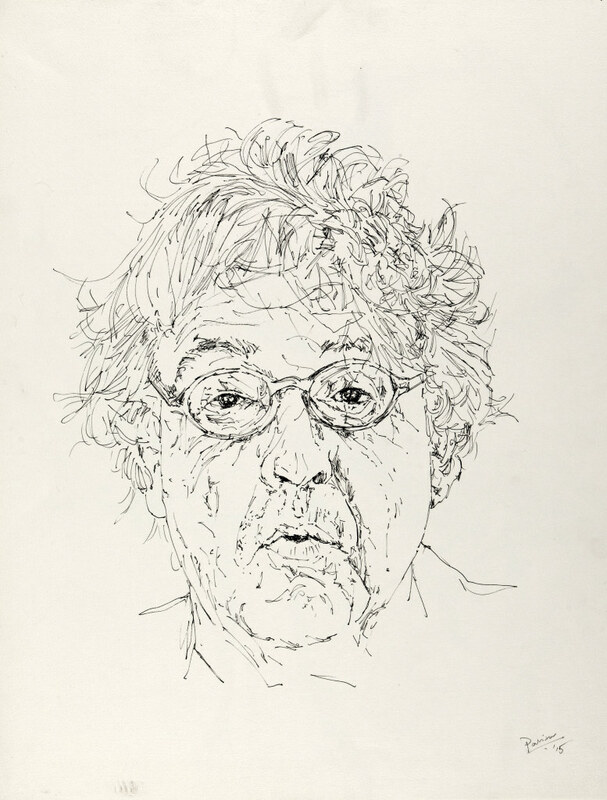 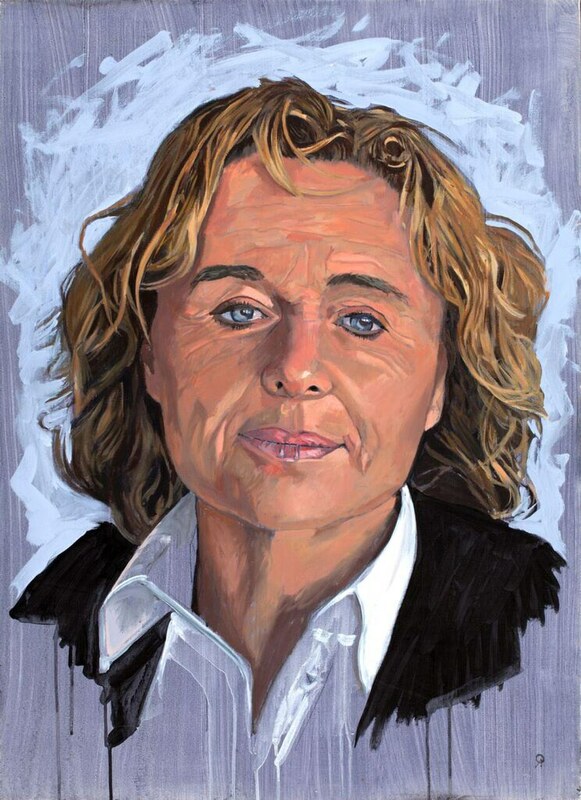 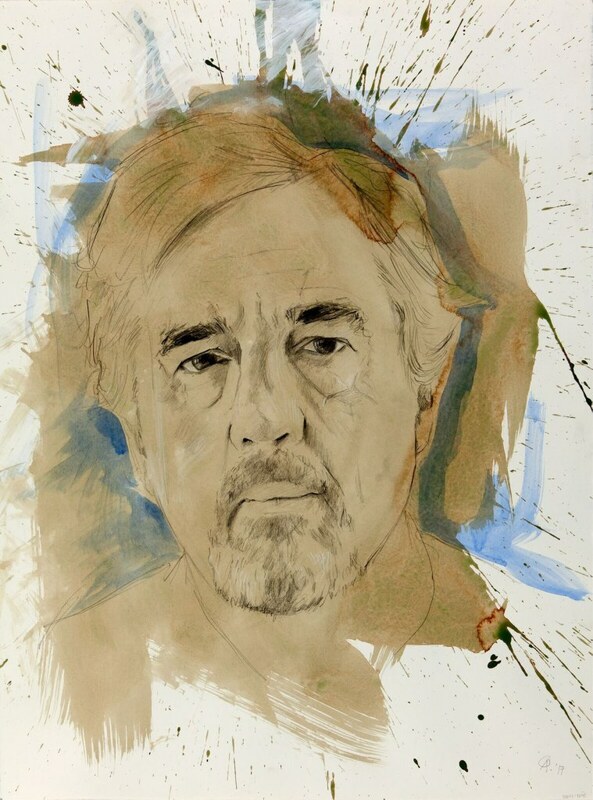 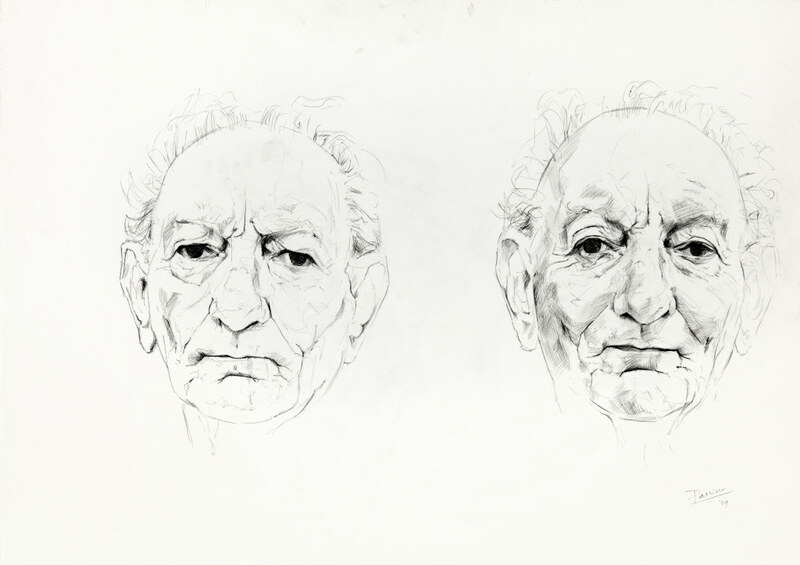 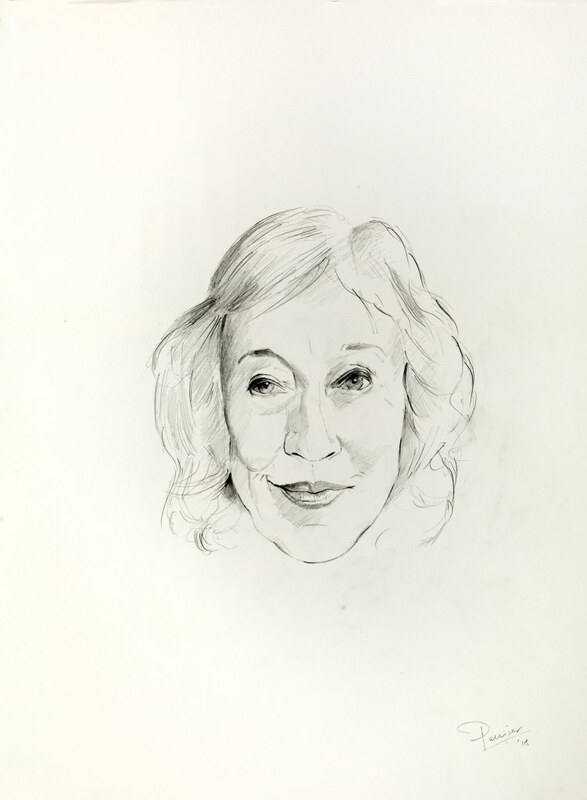 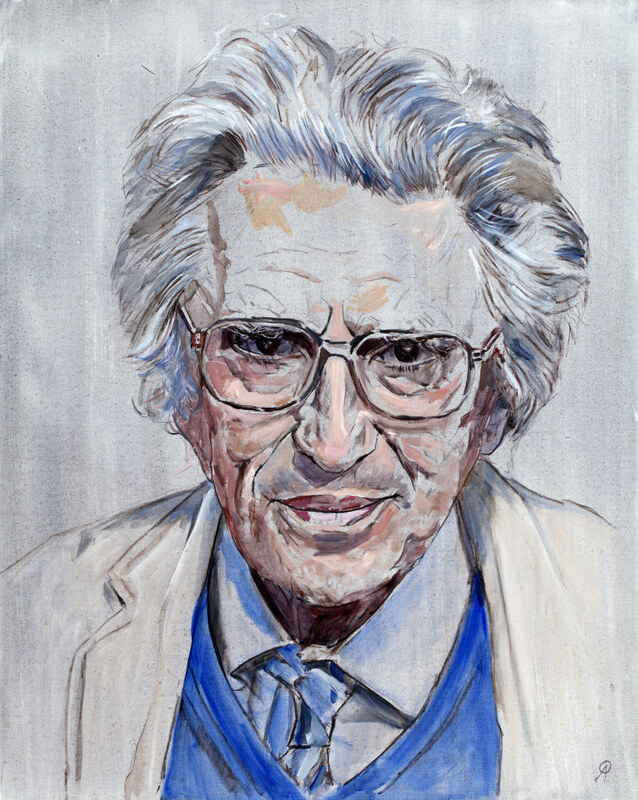 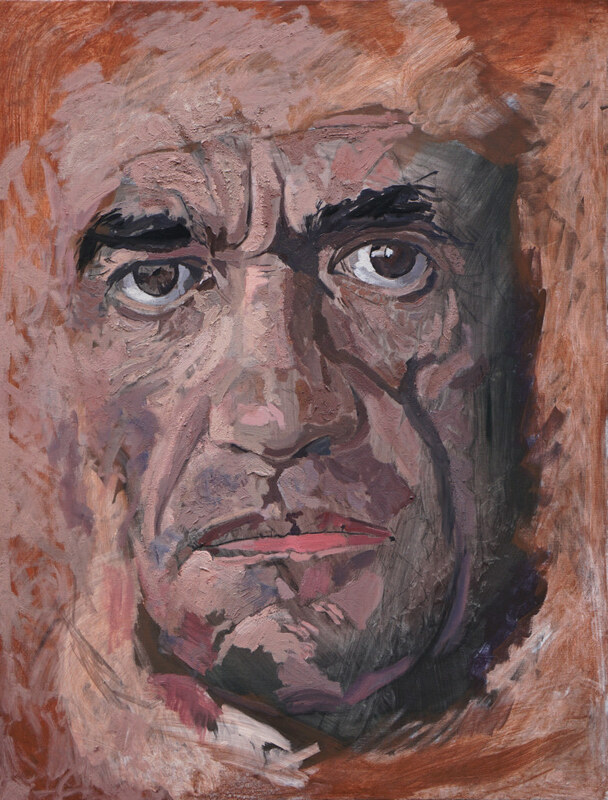 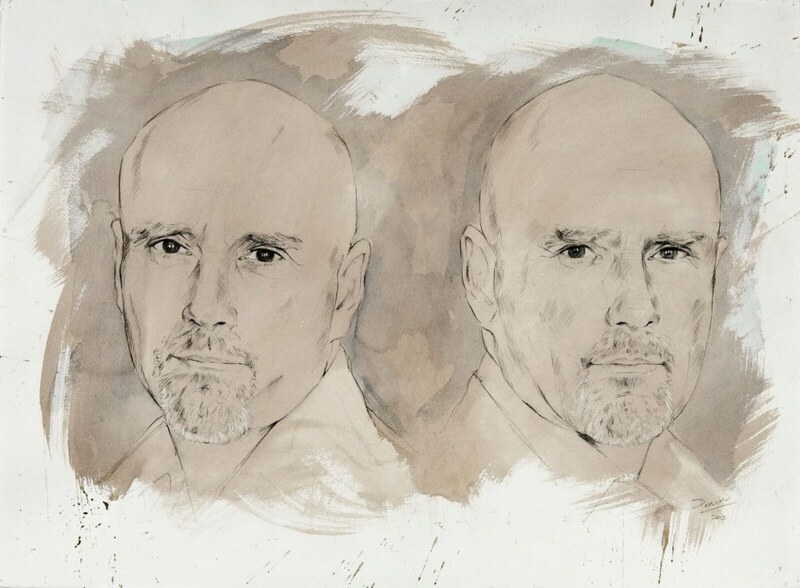 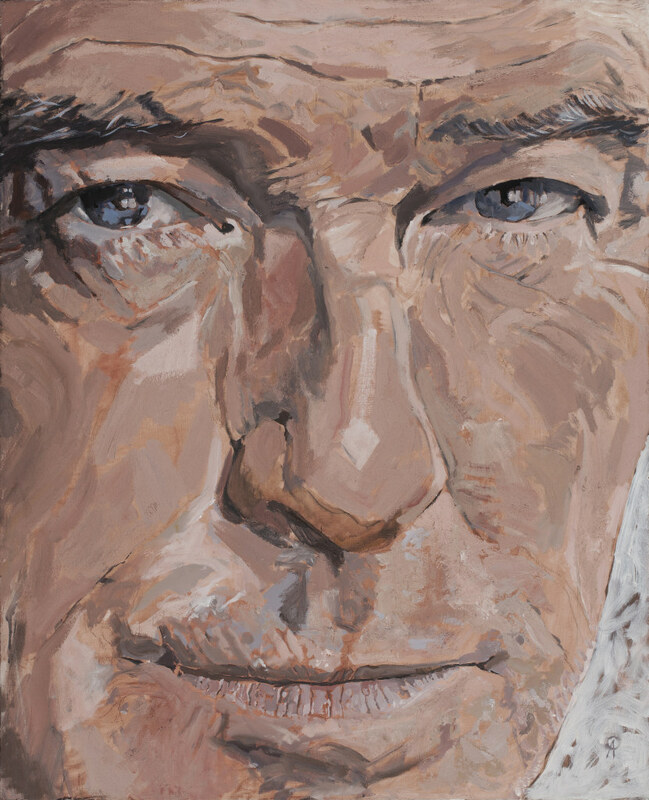 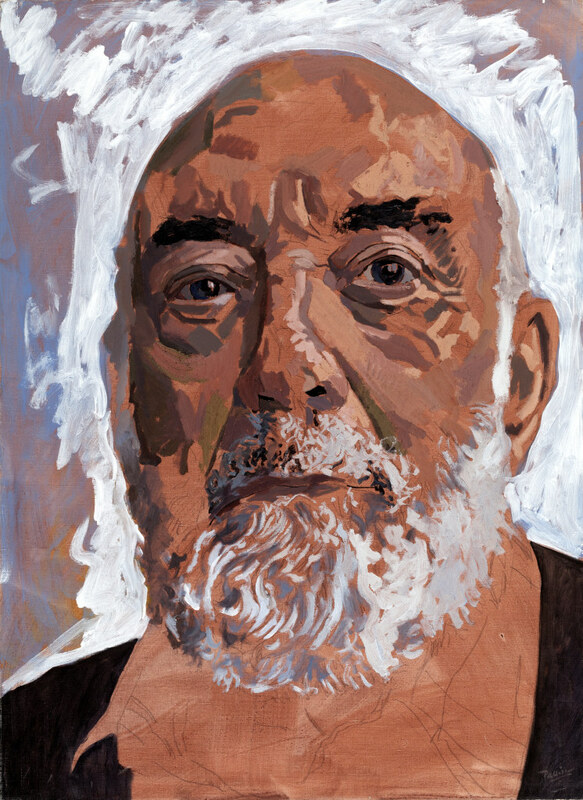 Over sixty portraits of more than thirty renowned Irish cultural icons, completed over a sixteen-year period by the Anglo-Belgian painter Anthony Palliser, will be on display at Farmleigh House, in the Phoenix Park, Dublin, from Friday 1st June until Sunday 2nd September. 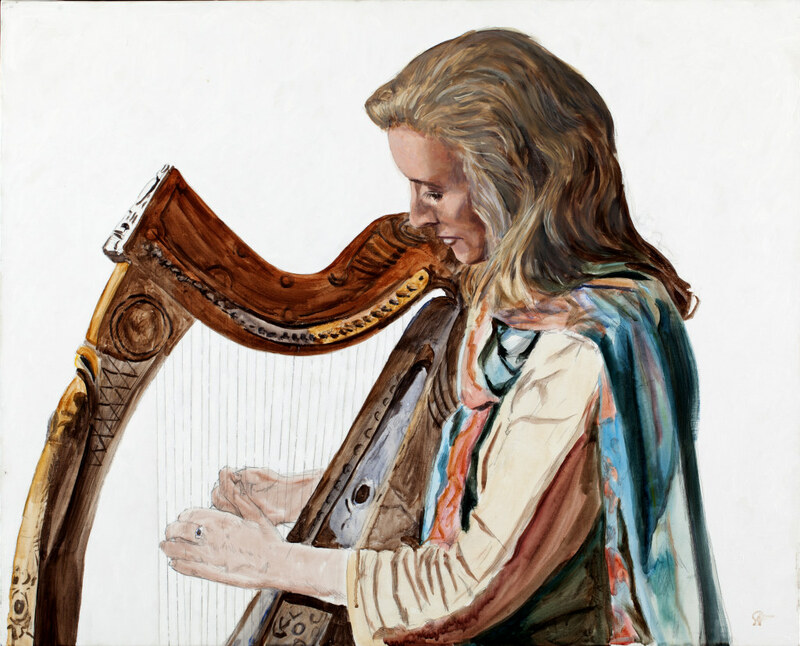 The exhibition is being presented by the Office of Public Works and the British Council, as a major contribution to the European Year of Cultural Heritage 2018. 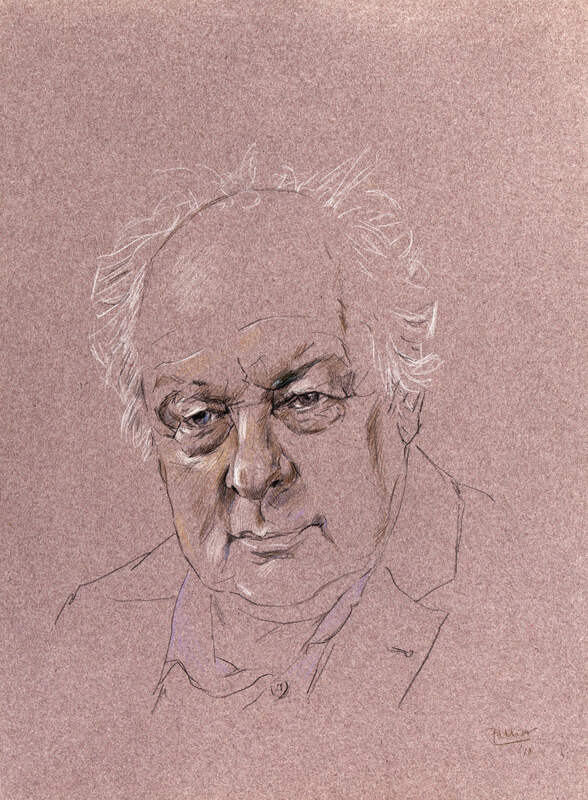 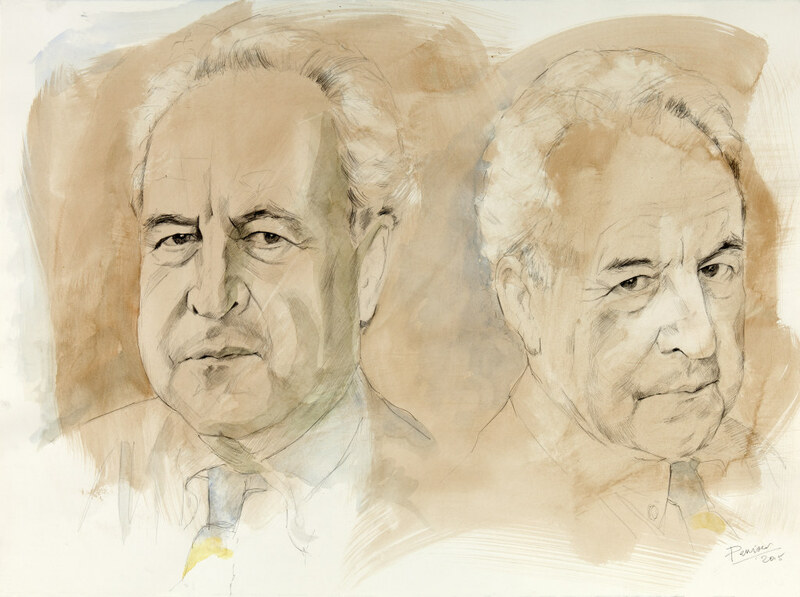 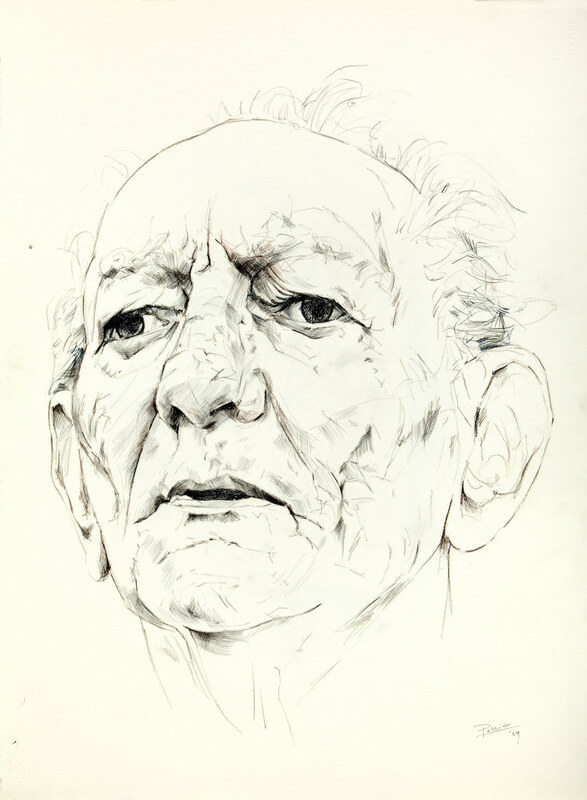 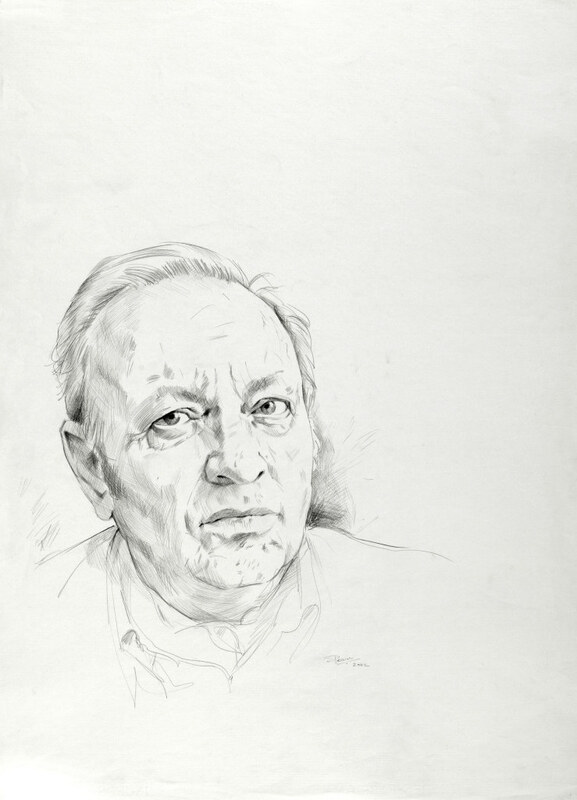 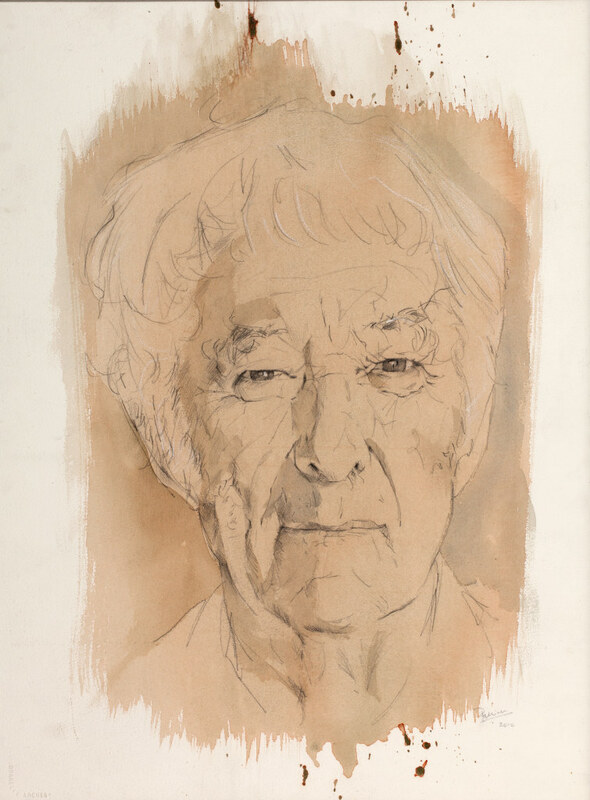 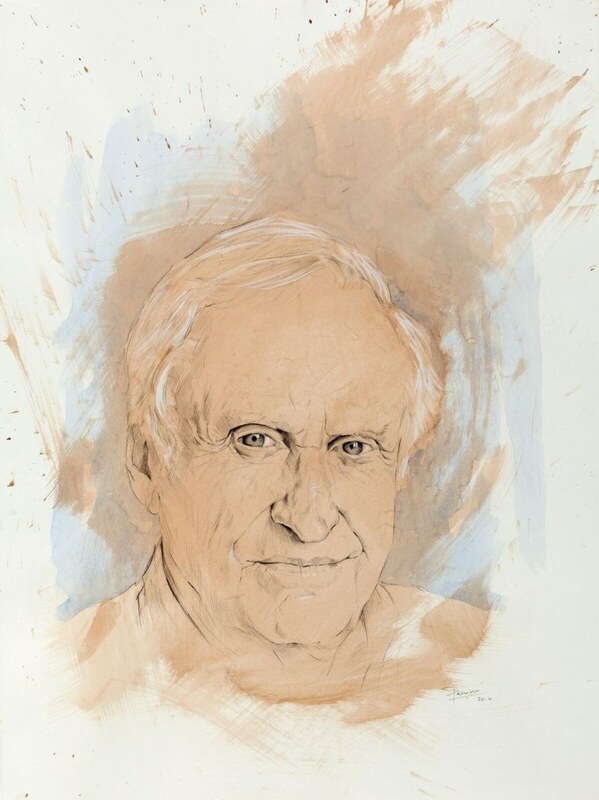 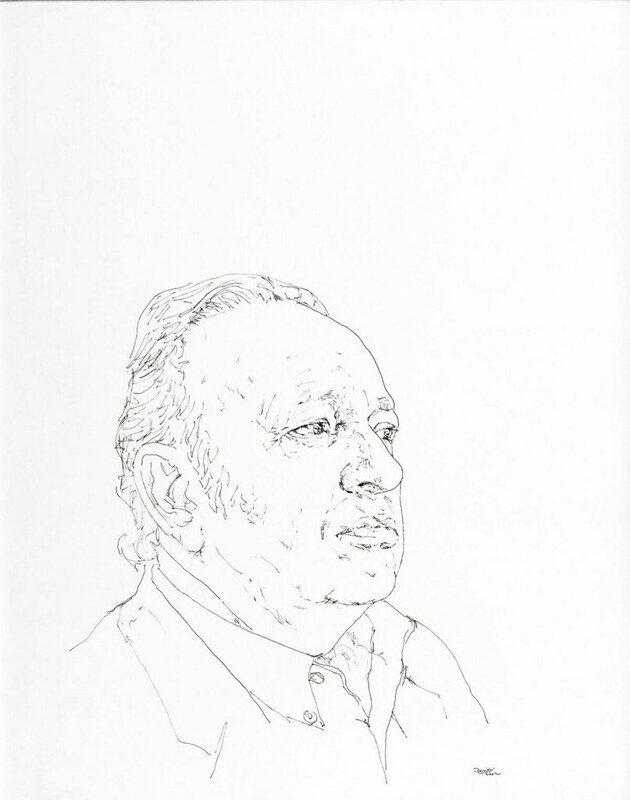 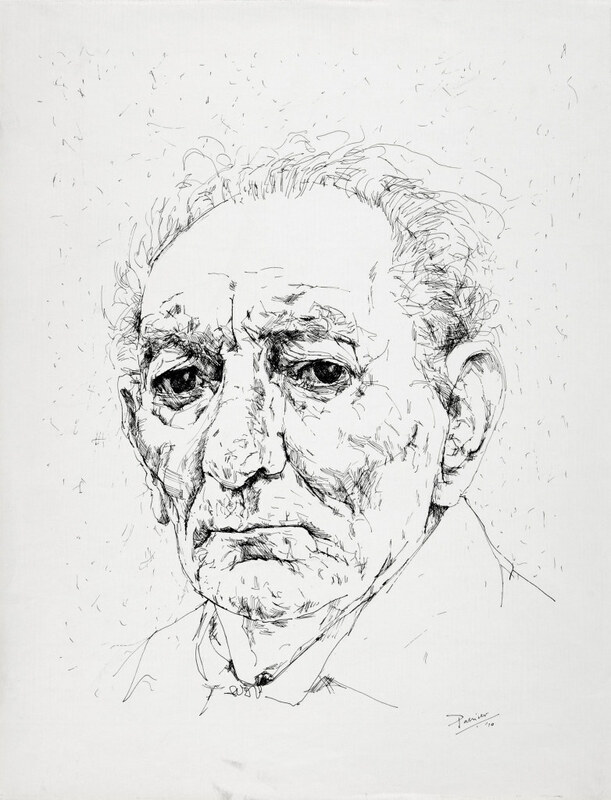 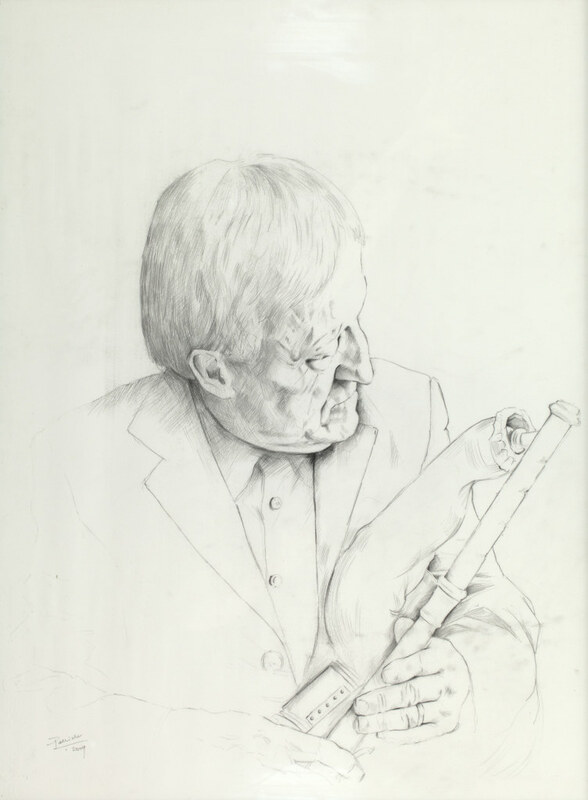 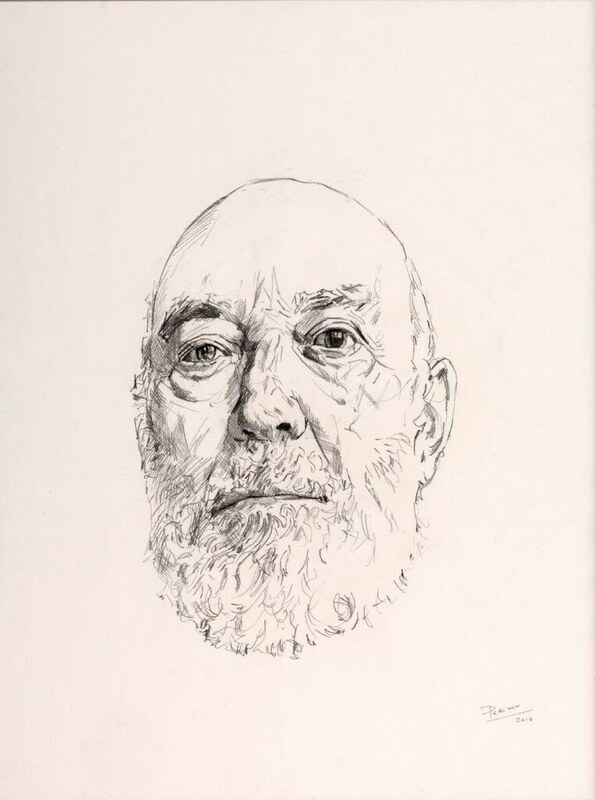 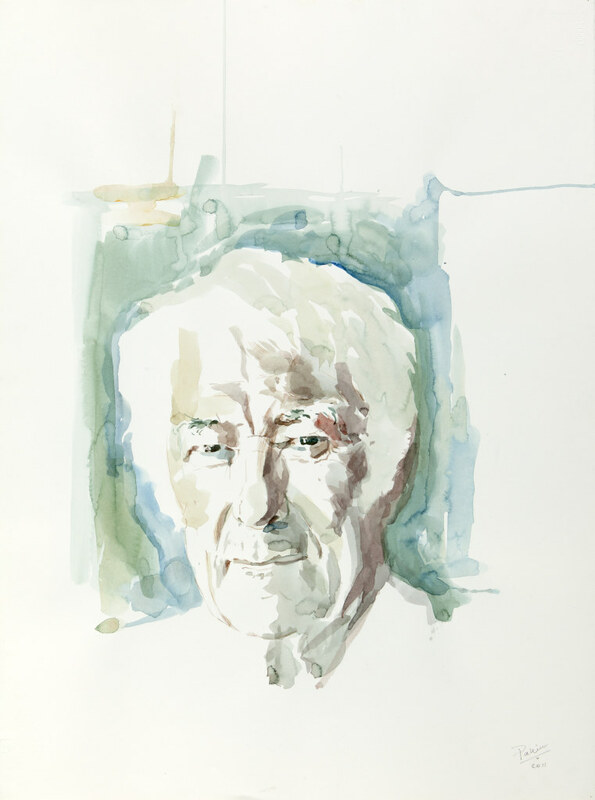 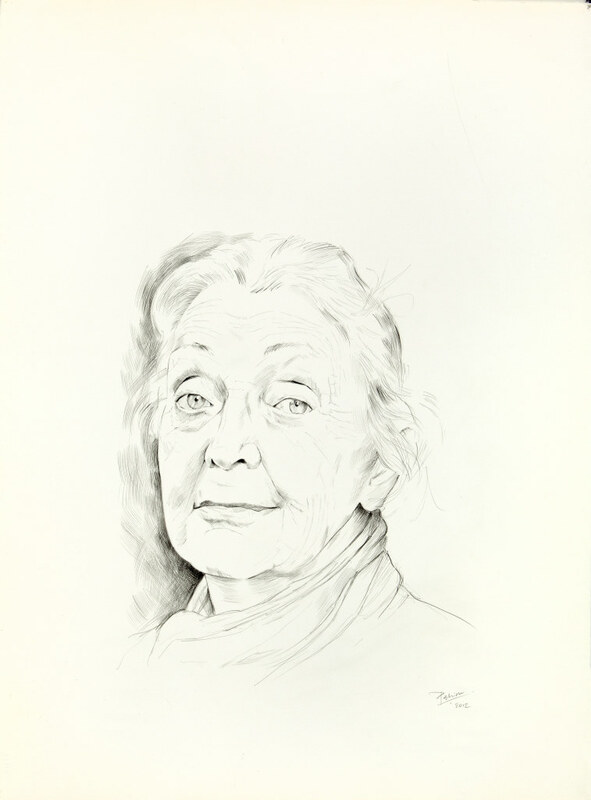 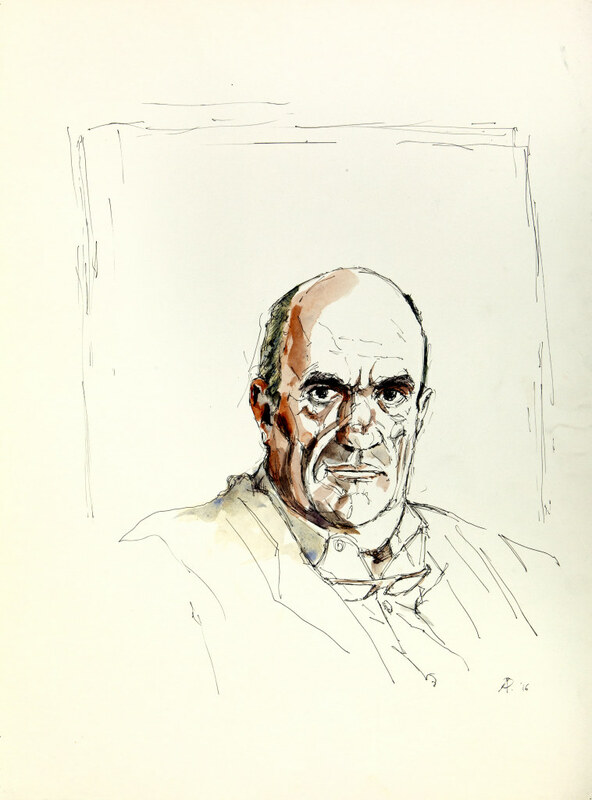 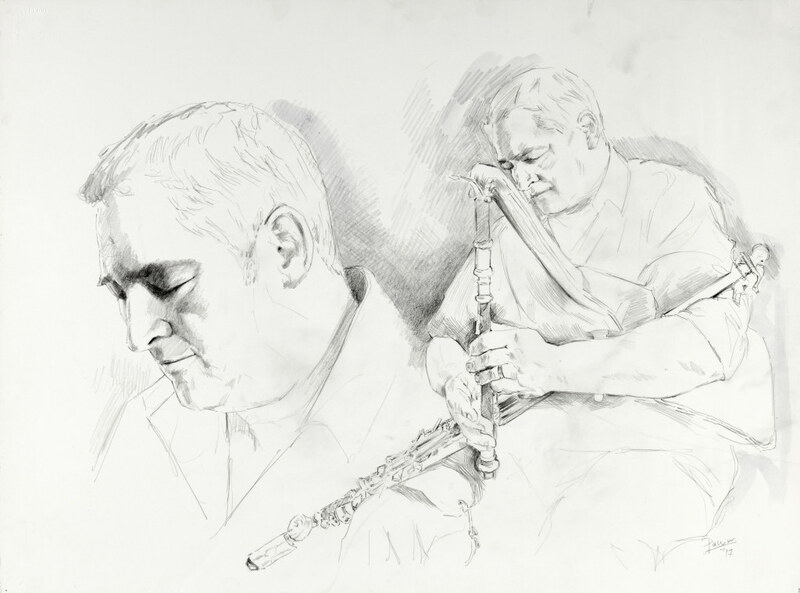 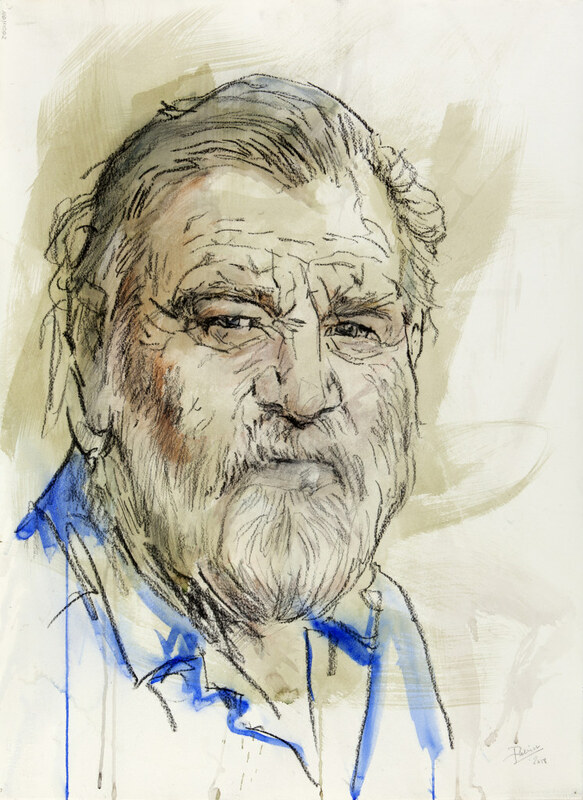 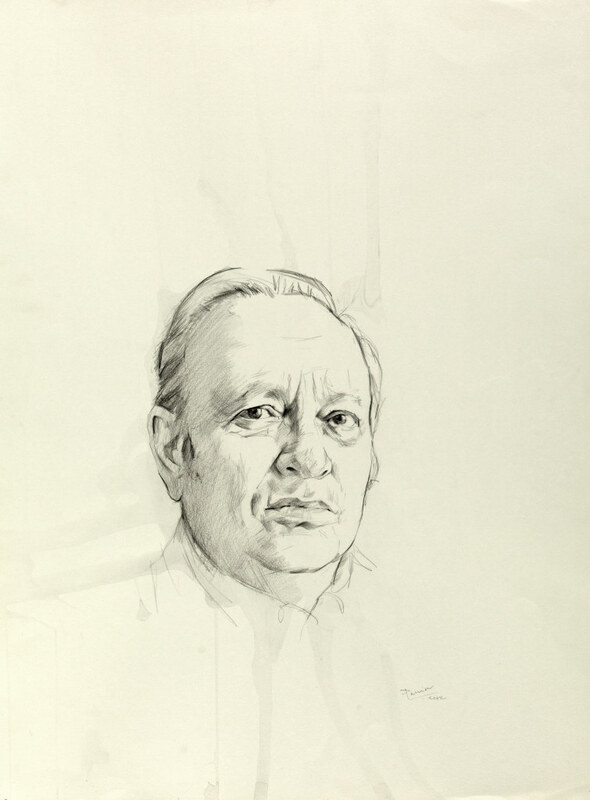 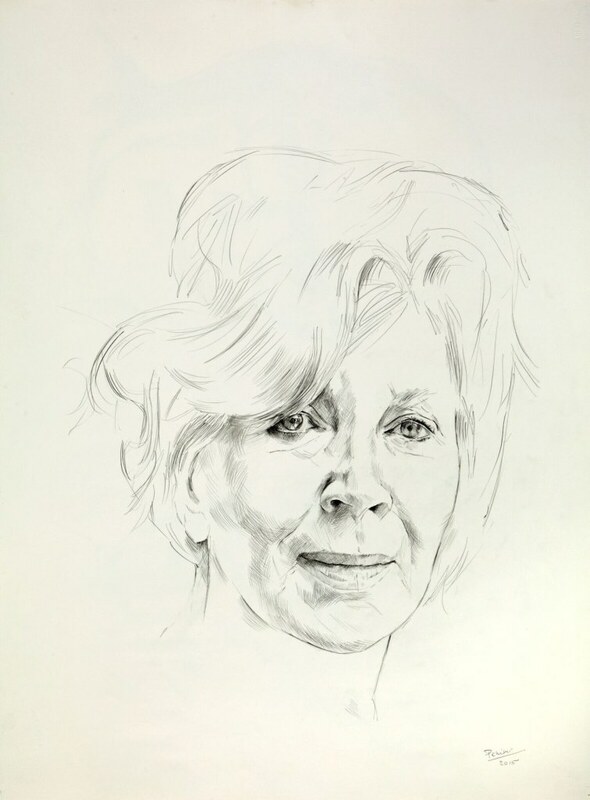 Featured in the exhibition will be paintings and drawings of individuals who have, over the past fifty years, contributed significantly to the development of Irish cultural life and its international reputation and appreciation. 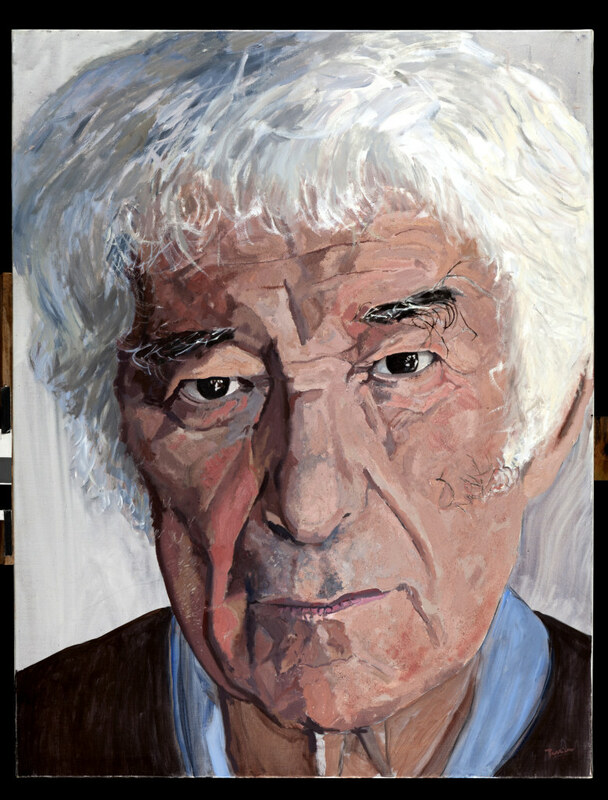 These include Seamus Heaney, Derek Mahon, Thomas Kinsella, Edna O’Brien, John Boorman, Colm Tóibín, Nuala Ní Dhomhnaill, Brian Friel, Bill Whelan, John Banville, Sinead Cusack, John Montague, Paul Muldoon, John Hurt and the Honourable Garech Browne, amongst many others. 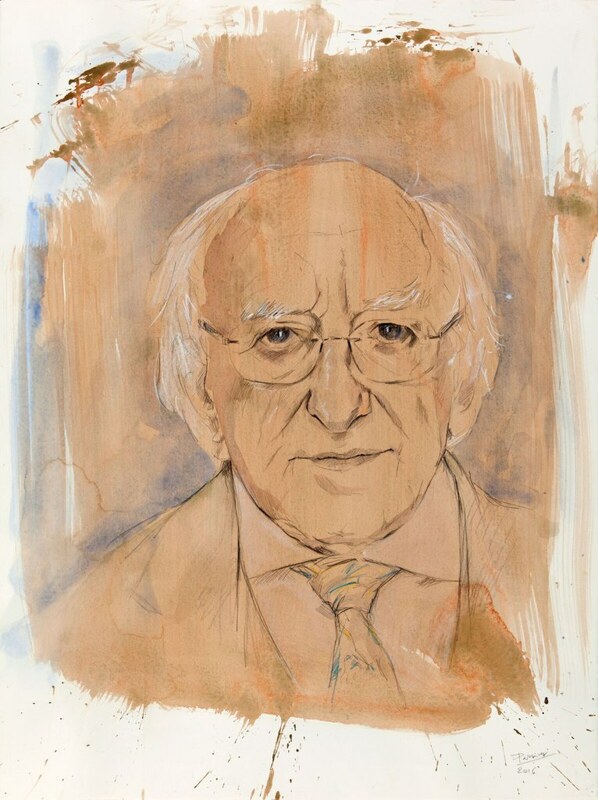 To be unveiled at the exhibition will be Palliser’s recently-completed portrait of President Michael D. Higgins. 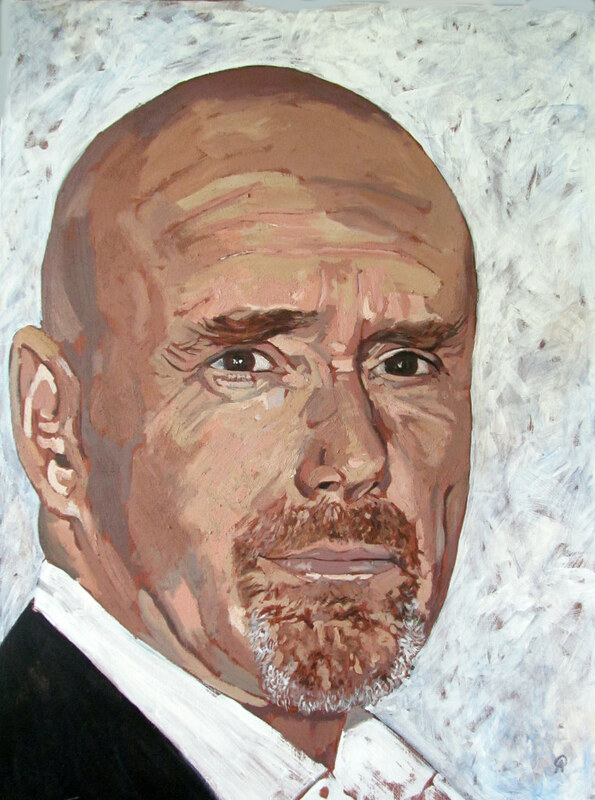 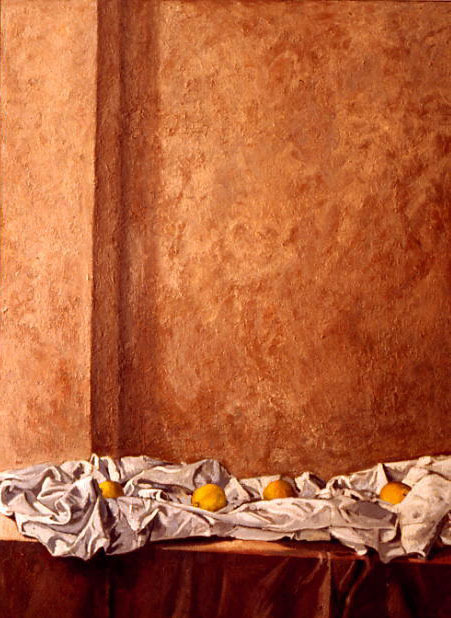 Anthony Palliser was born in Brussels in 1949, the son of Sir Michael Palliser and Marie Marguerite Spaak. 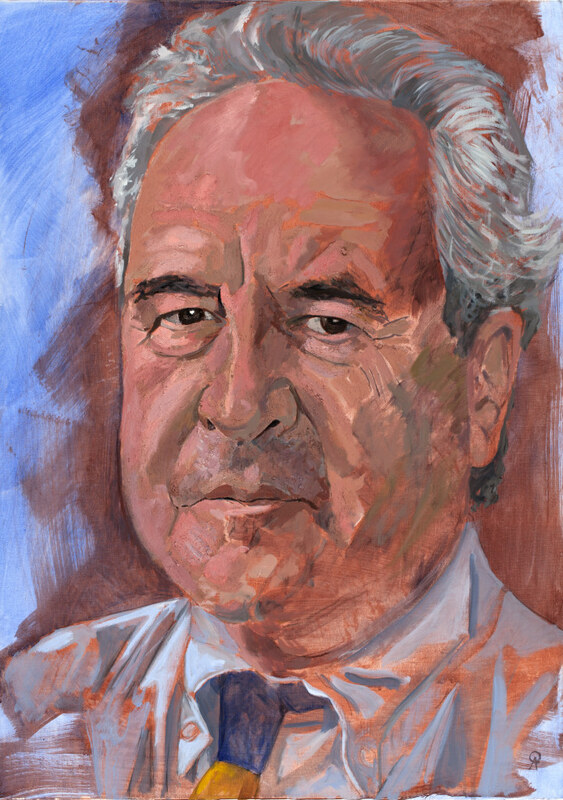 His paternal grandfather was Admiral Sir Eric Palliser, an important British naval officer during the Second World War, and his maternal grandfather was Paul-Henri Spaak, the Belgian statesman and one of the founding fathers of the European Union. 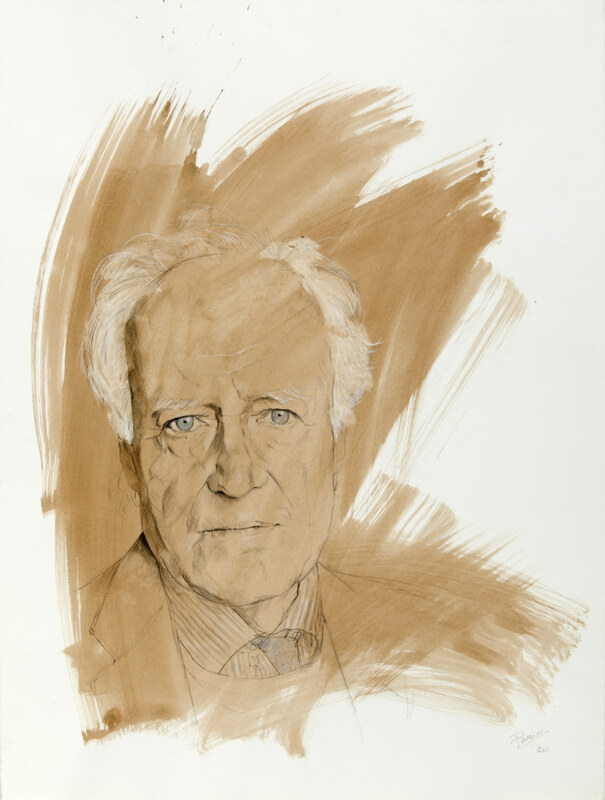 Having received his early education at the Catholic Downside school, Palliser briefly attended the Academy of Fine Arts in Rome and went on to graduate from New College Oxford, after which, in 1971, he moved to his beloved Paris, where he still lives with his wife, Diane Lawyer. 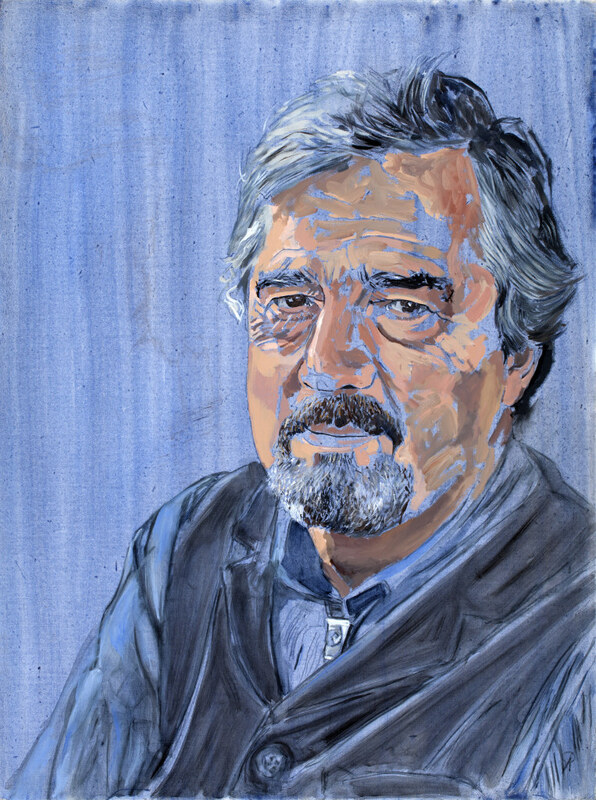 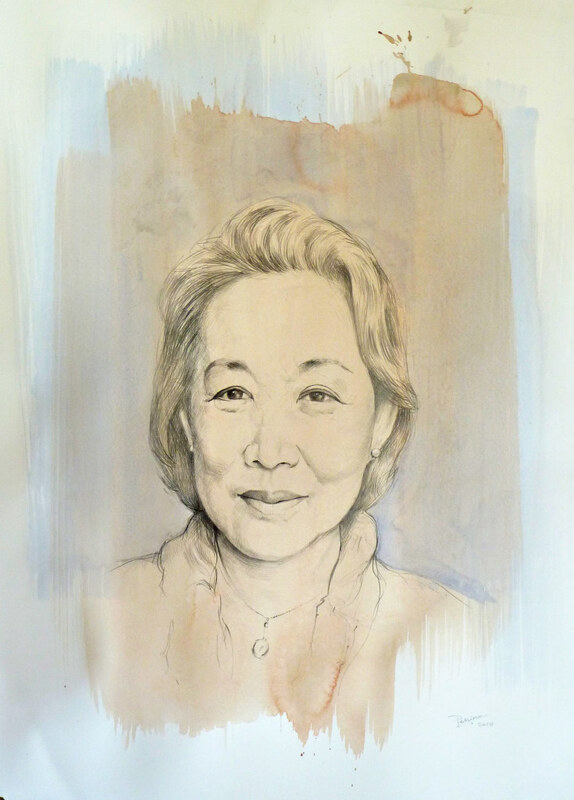 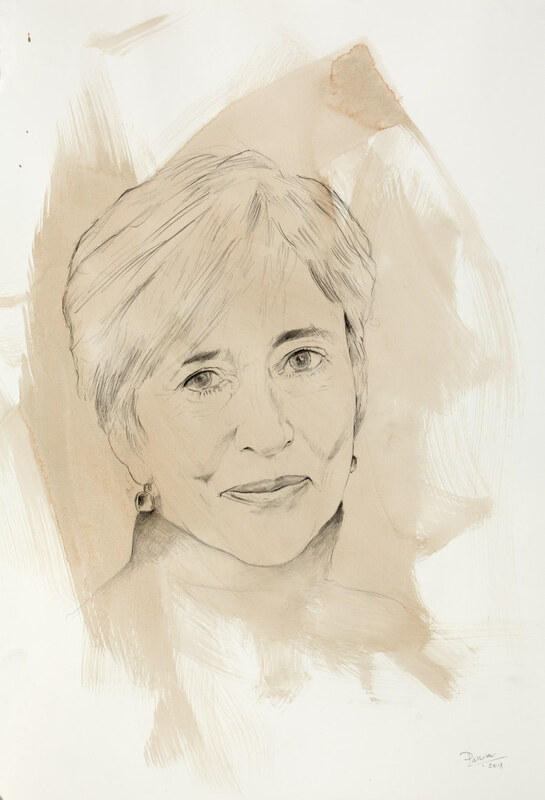 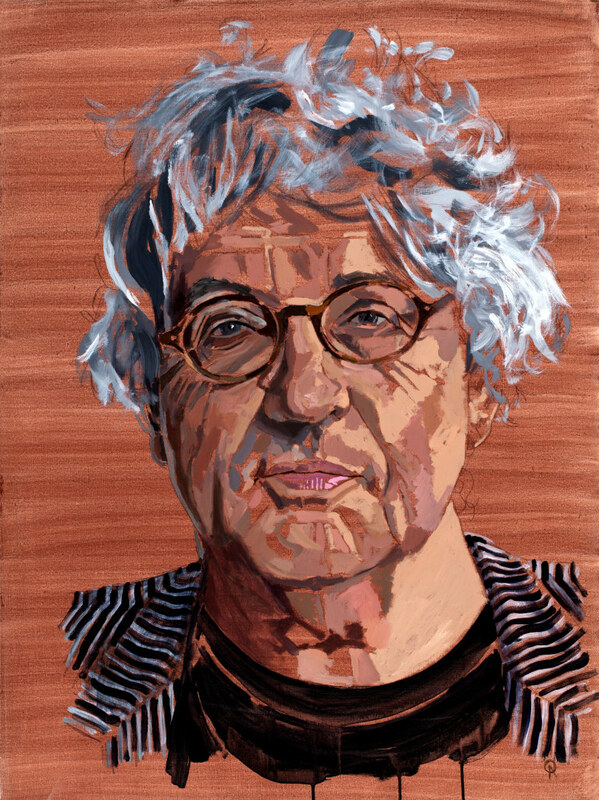 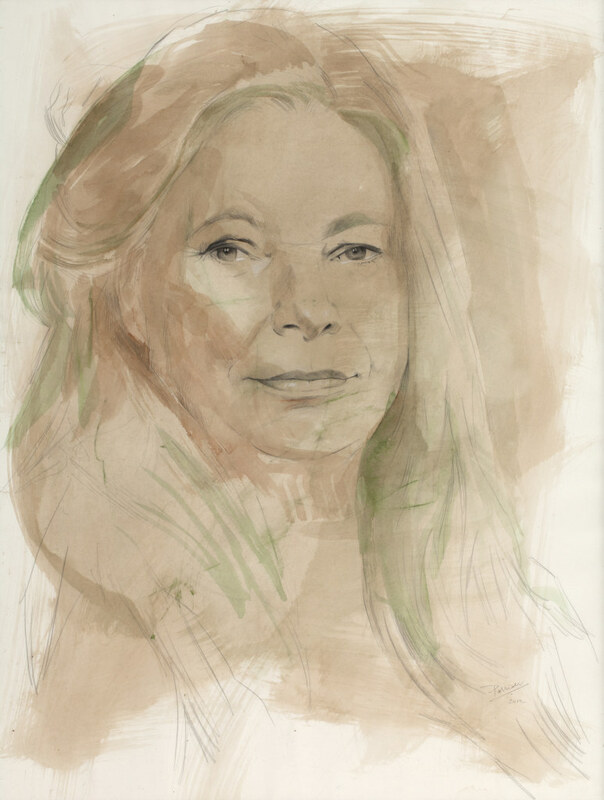 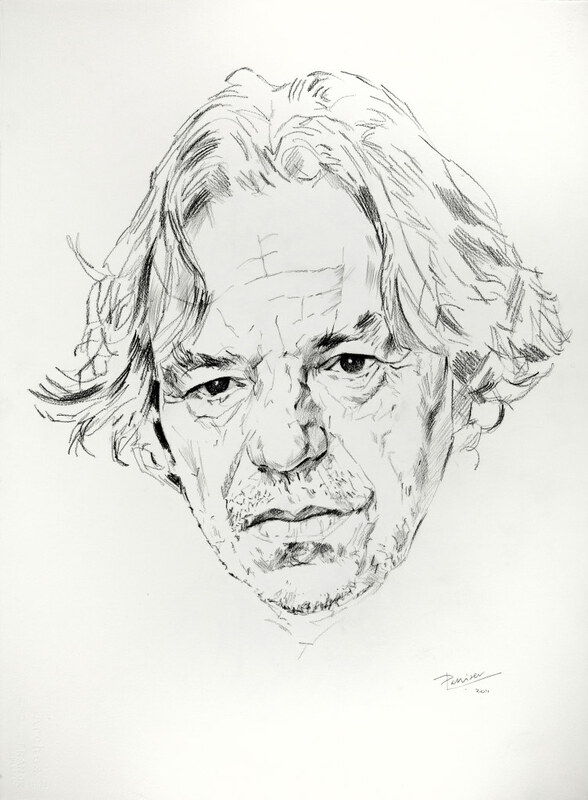 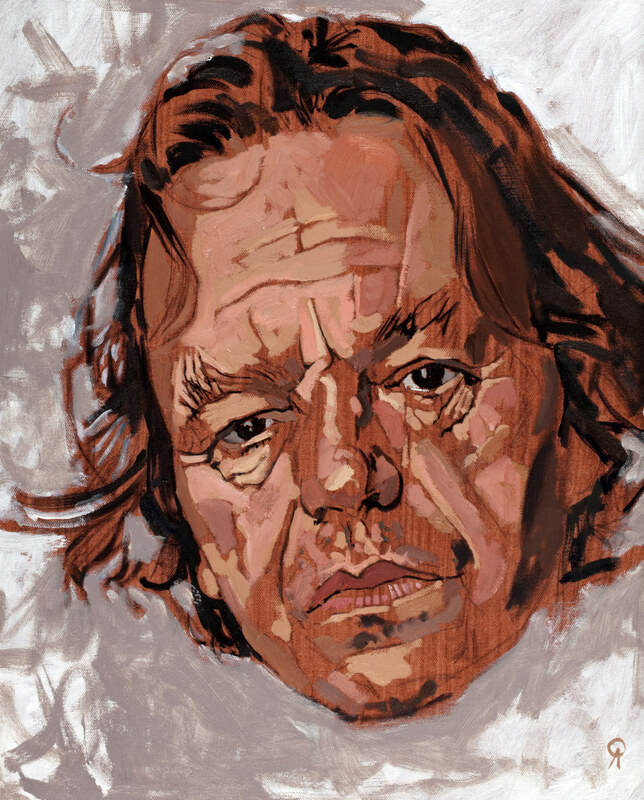 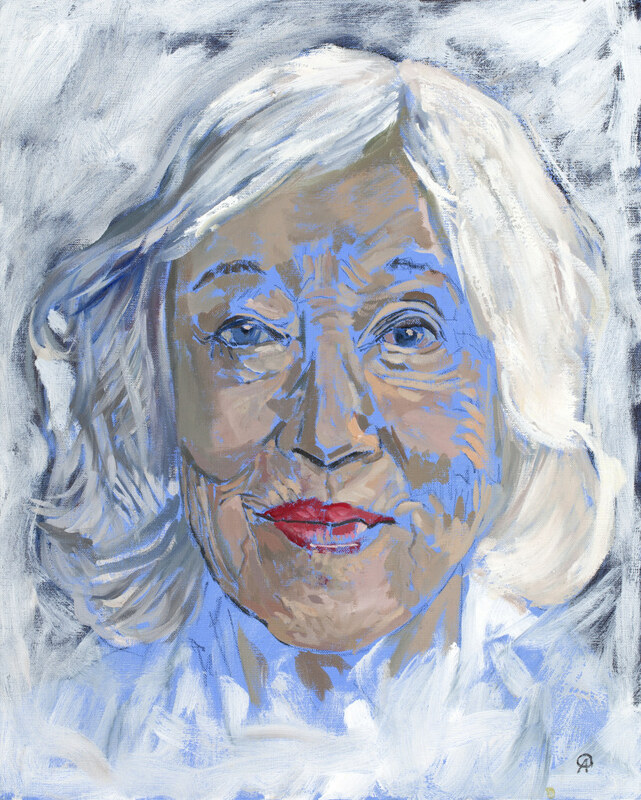 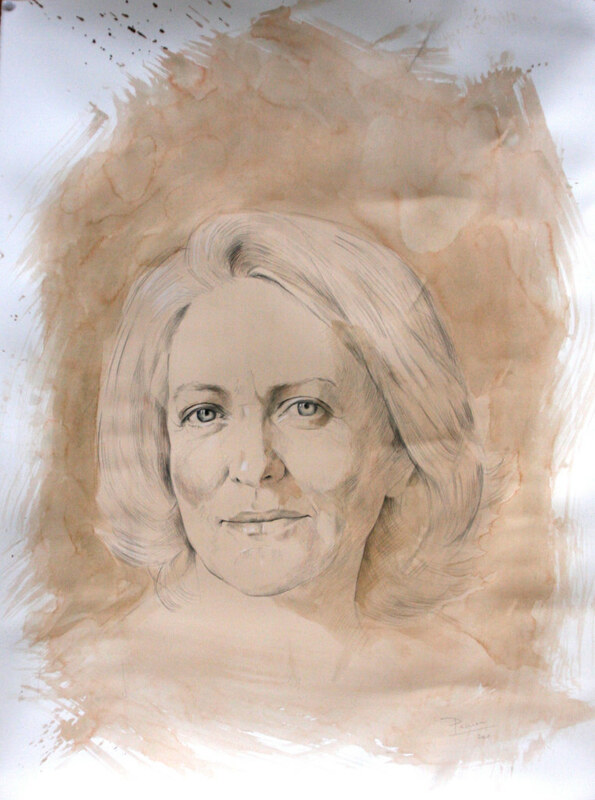 Forever working and tackling different themes, Palliser has produced exceptional portraits of a wide-variety of internationally recognised personalities and friends from the worlds of the arts and politics, including Marianne Faithful, Kenzo Takada, Kristin Scott Thomas, Sir Michael Howard and Charlotte Rampling, to name but a few. 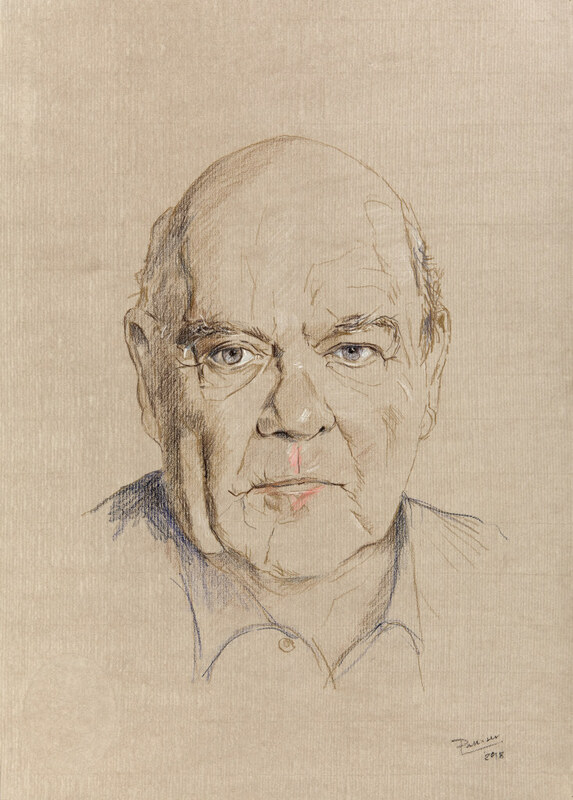 His masterful portrait of Graham Greene hangs in the National Portrait Gallery in London. 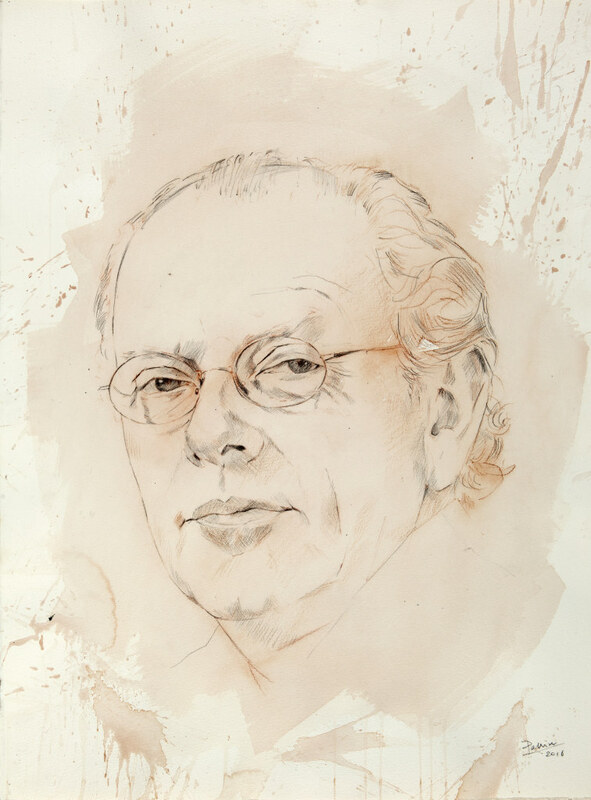 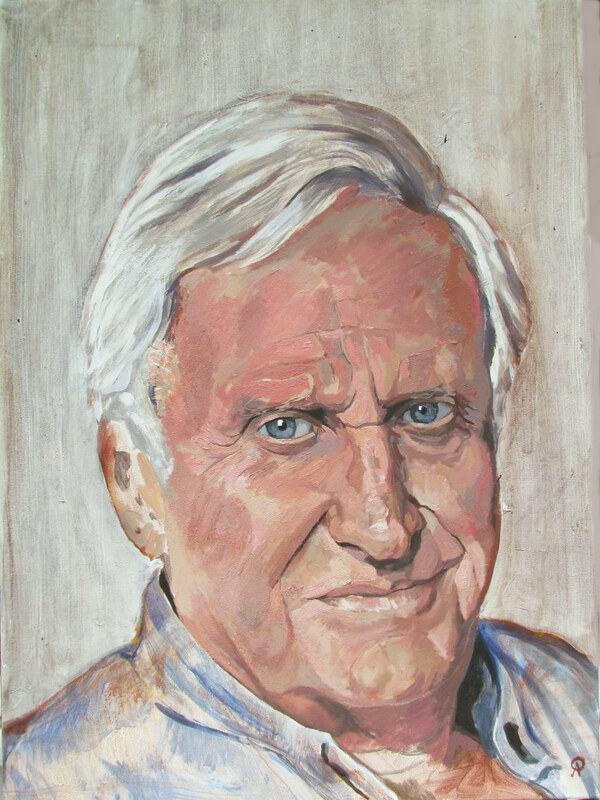 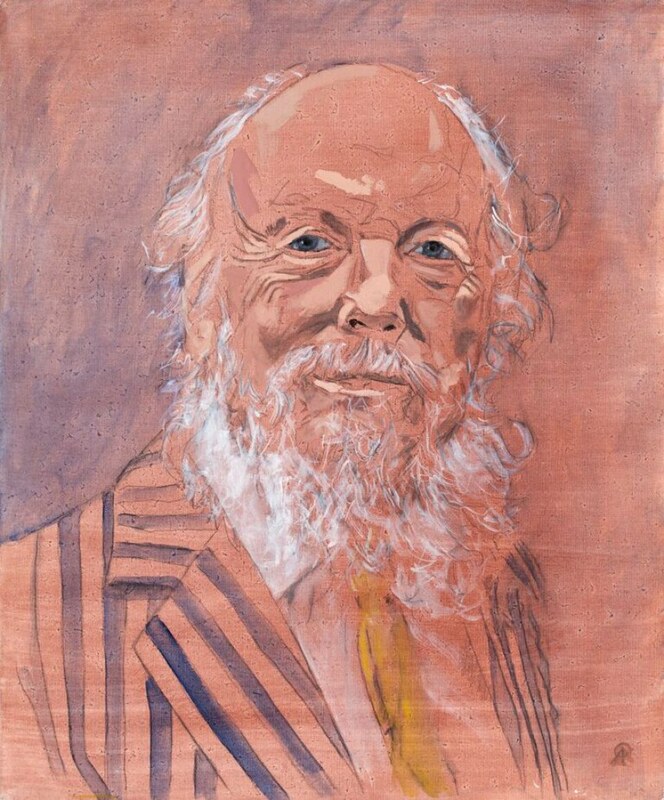 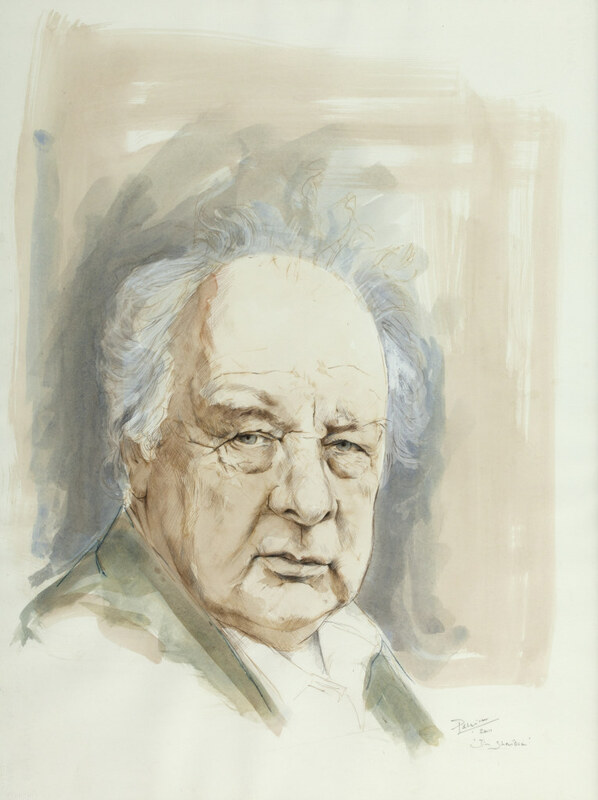 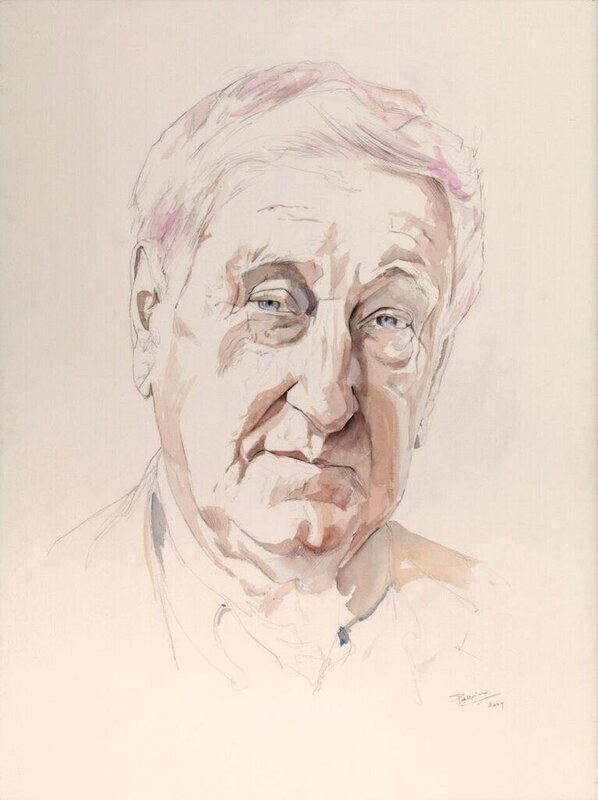 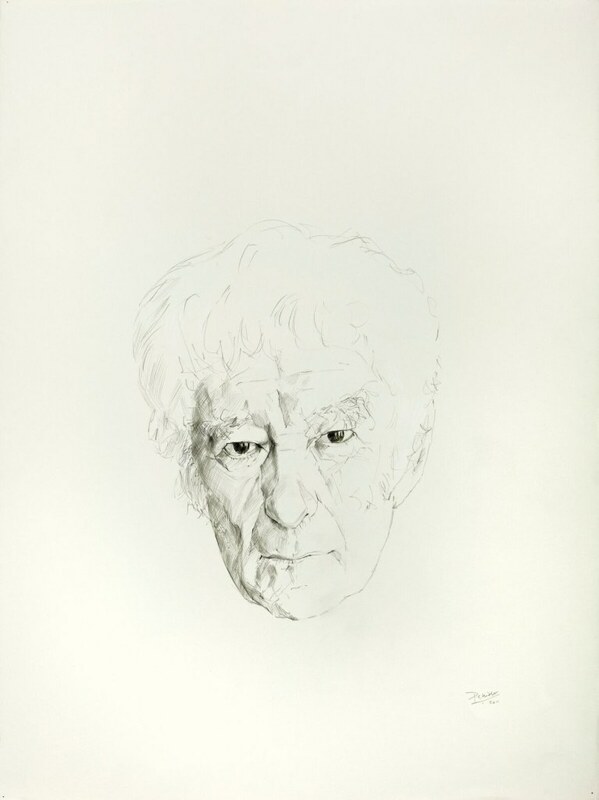 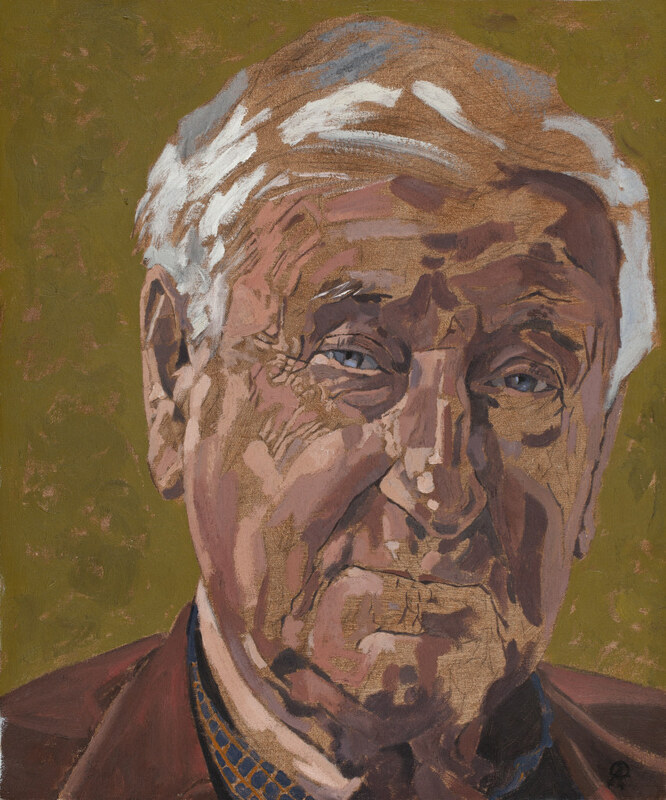 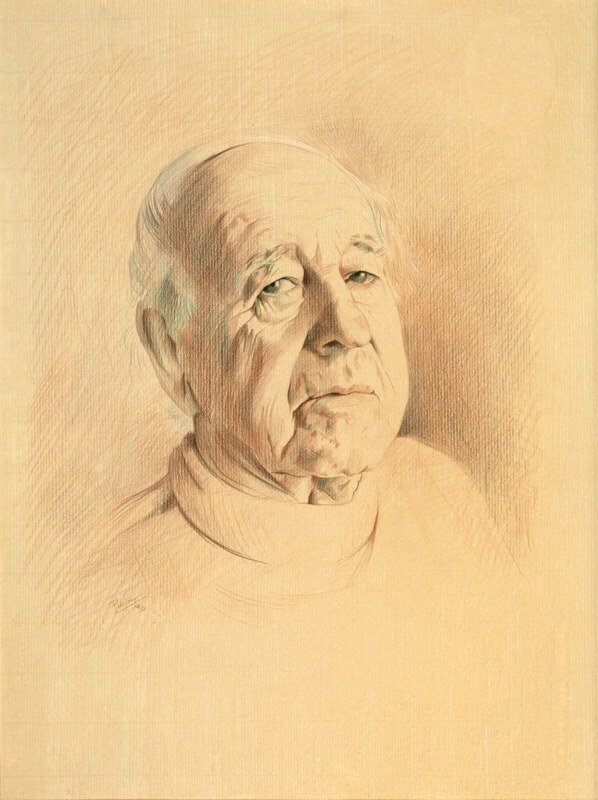 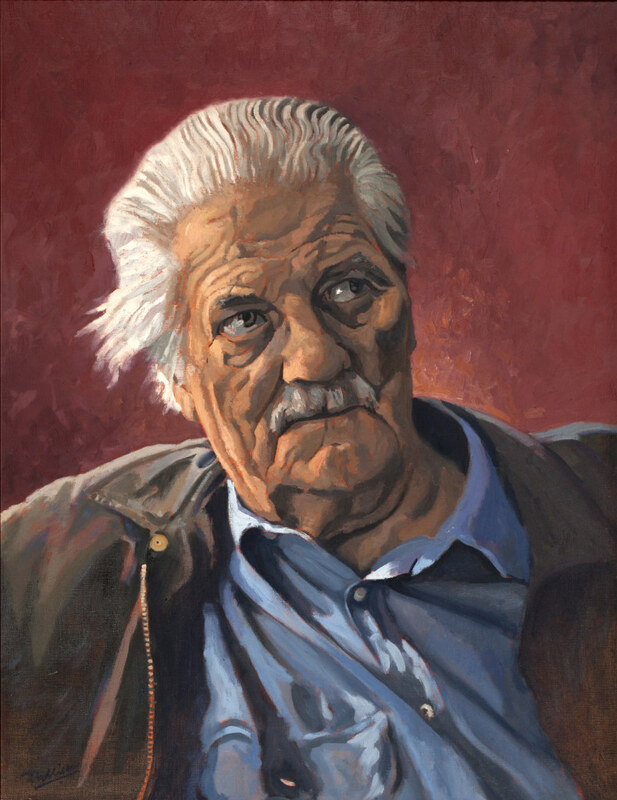 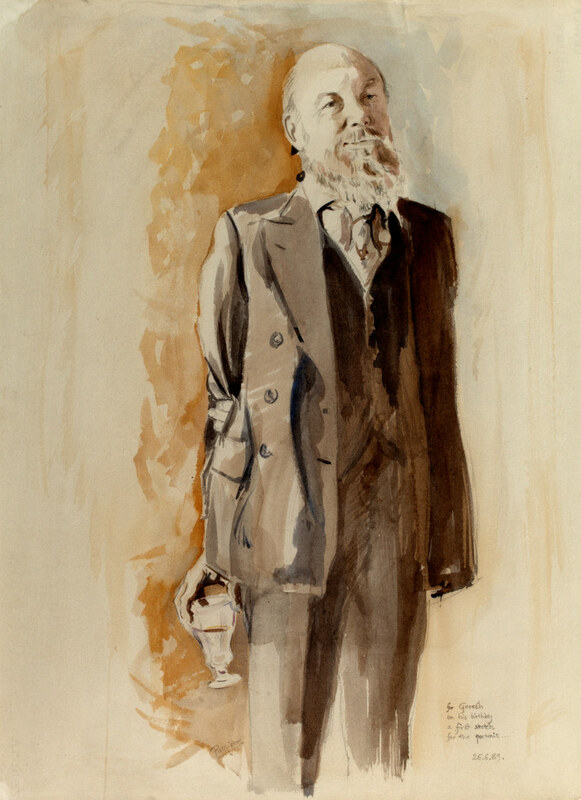 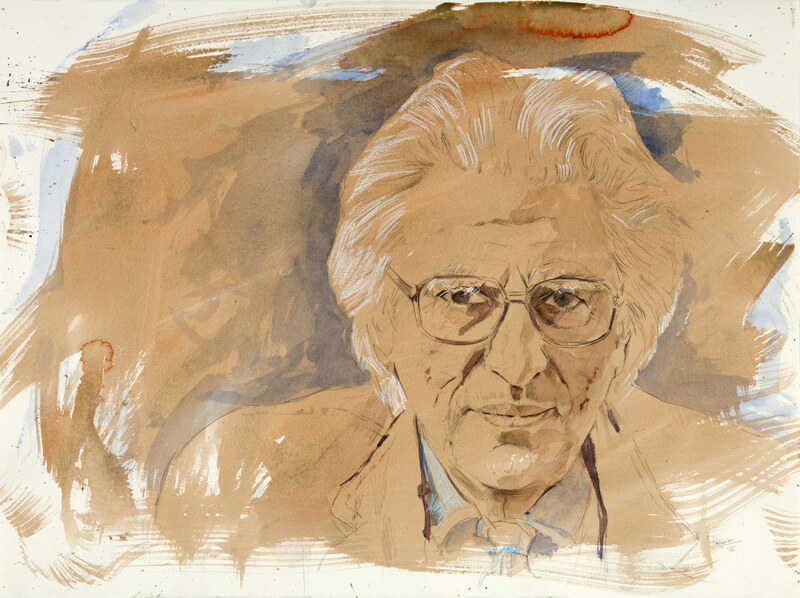 Palliser’s selection of Irish subjects began in 2002 with a painting of the poet Derek Mahon, to whom he was introduced by Garech Browne of Luggala. 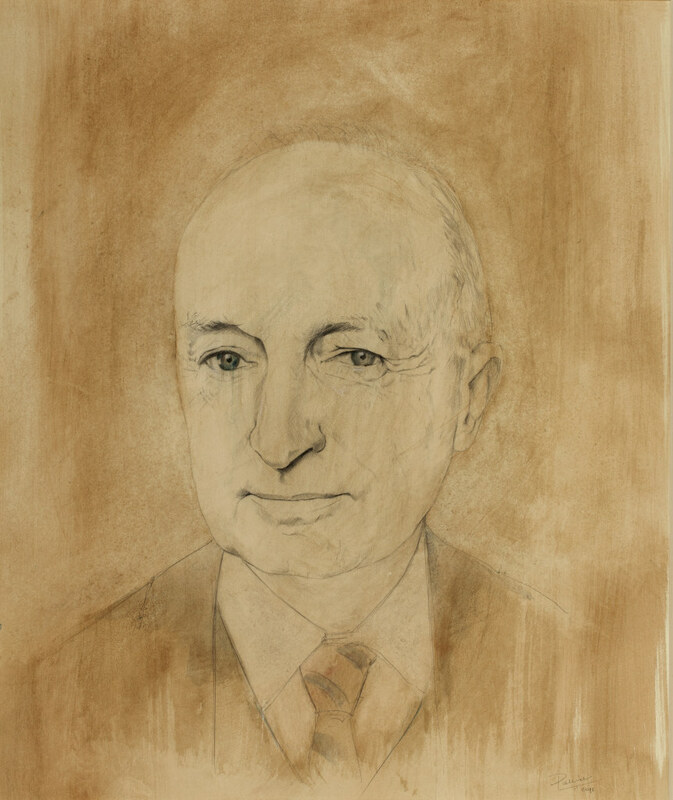 A long-time friend of Browne, it was through him that Palliser developed his contacts and relationships with many of the individuals who are featured in this exhibition. 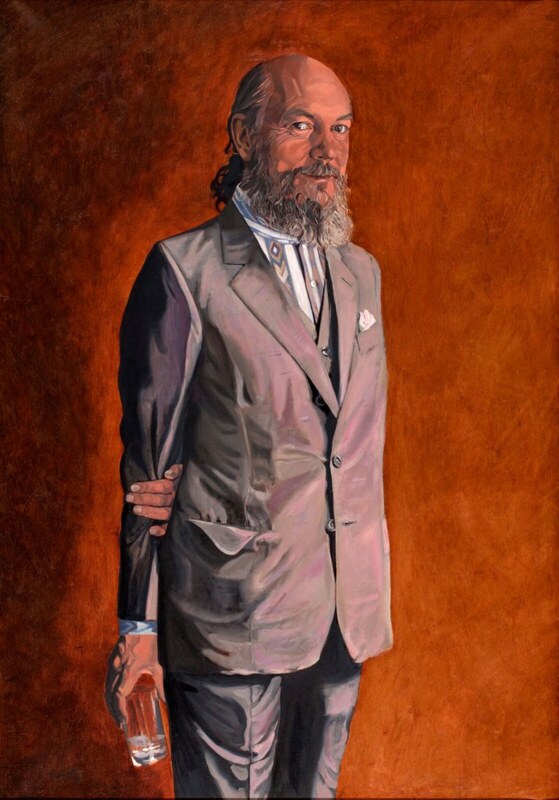 The art historian Andrew Graham-Dixon recently compared the portrait to a time machine. 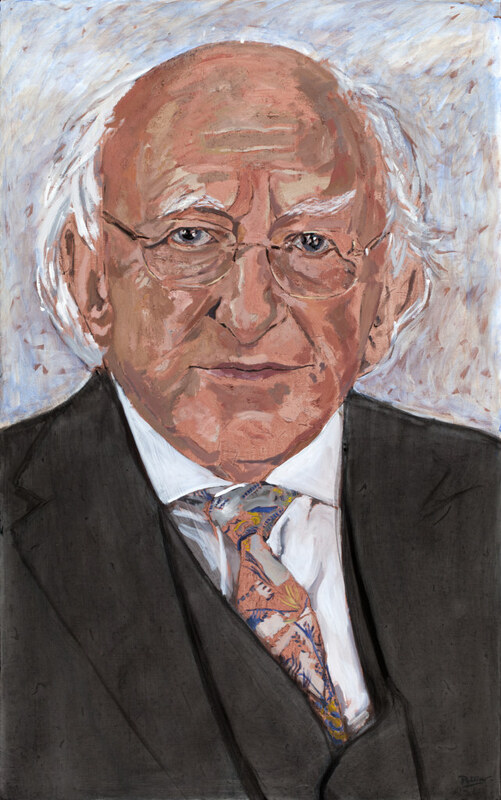 It is in exactly this context that Palliser’s exceptional paintings and drawings work so well, capturing each sitter at a particular moment in time, usually at the peak of their artistic powers and standing, and, in this case, especially in regards to the international recognition that they have received for their contributions to Irish cultural life at home and abroad. 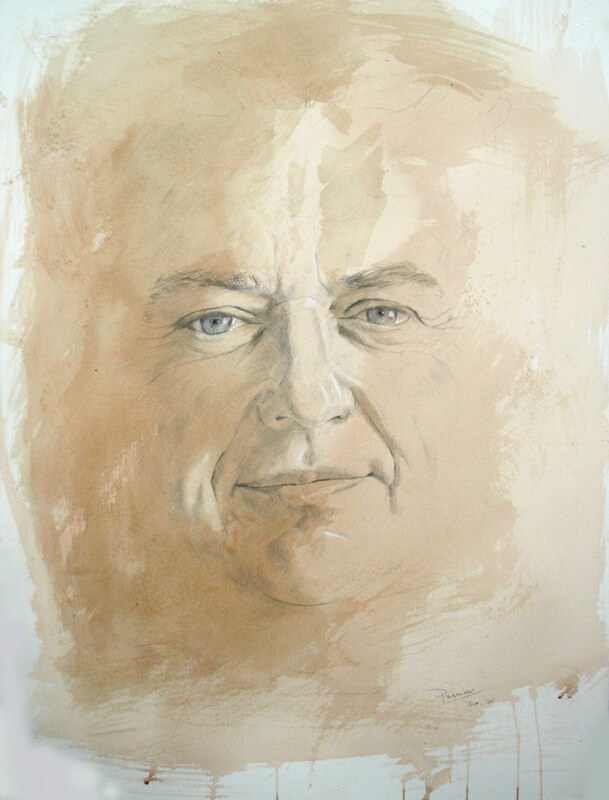 Through his brush, pen and pencil, Palliser has distilled, to the fundamental spiritual level, the true character of each of his subjects. 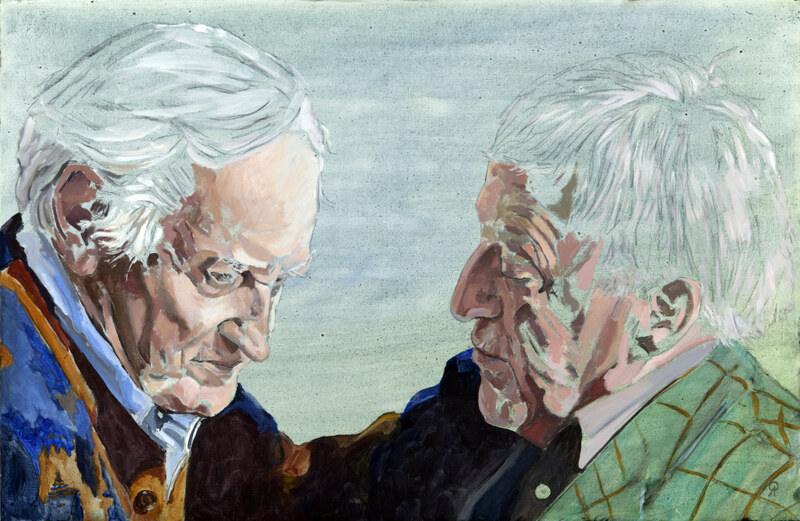 The result is a peeling away of the outward, self-protecting layers of each person’s public persona and the laying bare, for all to see, face to face, of each sitter’s inner, private world. 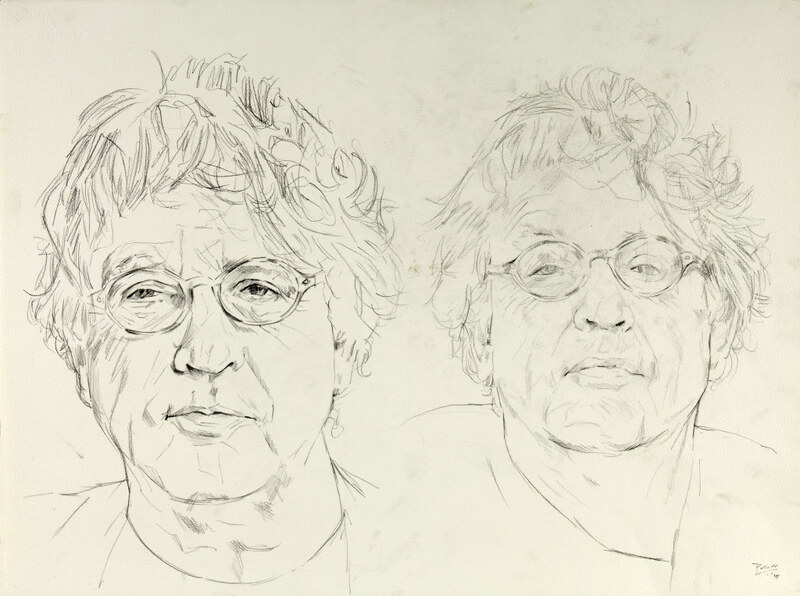 From the drawing of a simple line, their essence and dignity has been gently revealed. 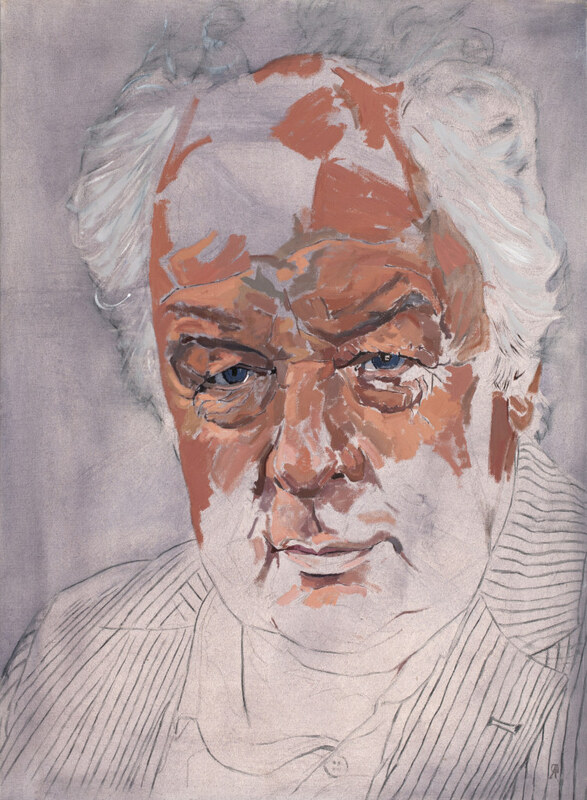 This exhibition has been curated by Kieran Owens, on behalf of the Office of Public Works. 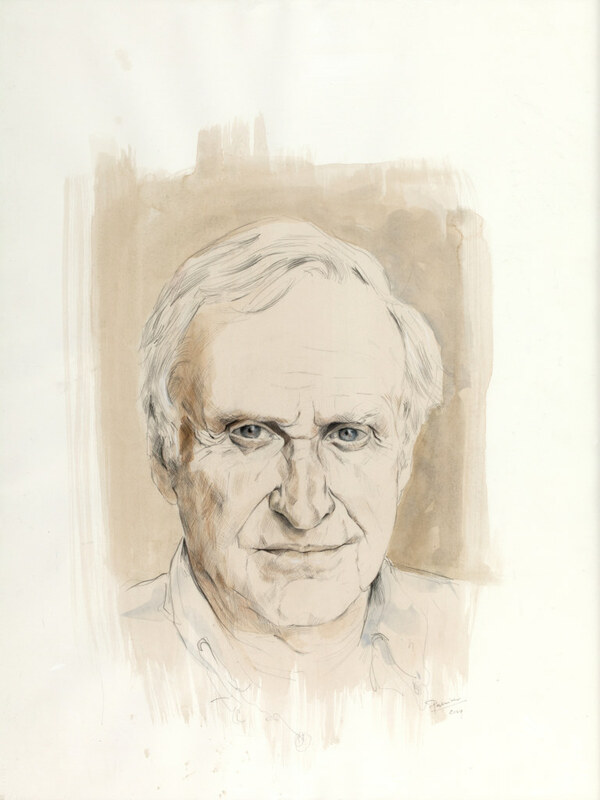 It will be accompanied by a fully-illustrated catalogue, containing essays by John Boorman, Lara Marlowe and Sophie Gorman.